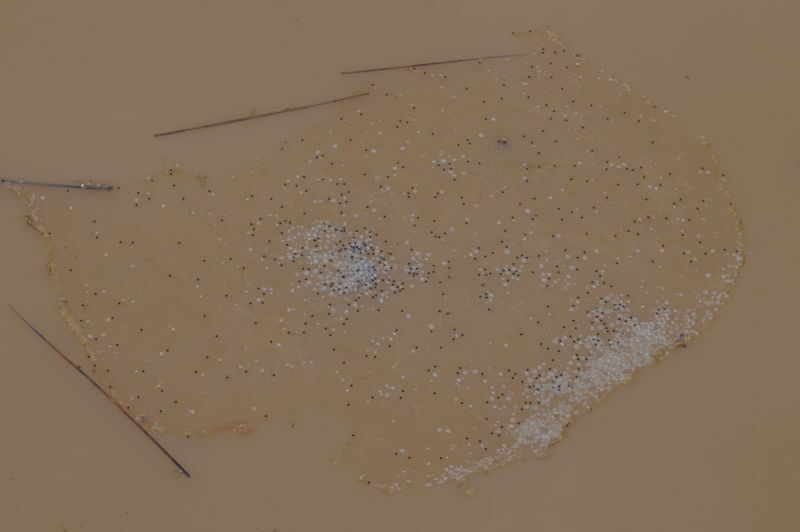 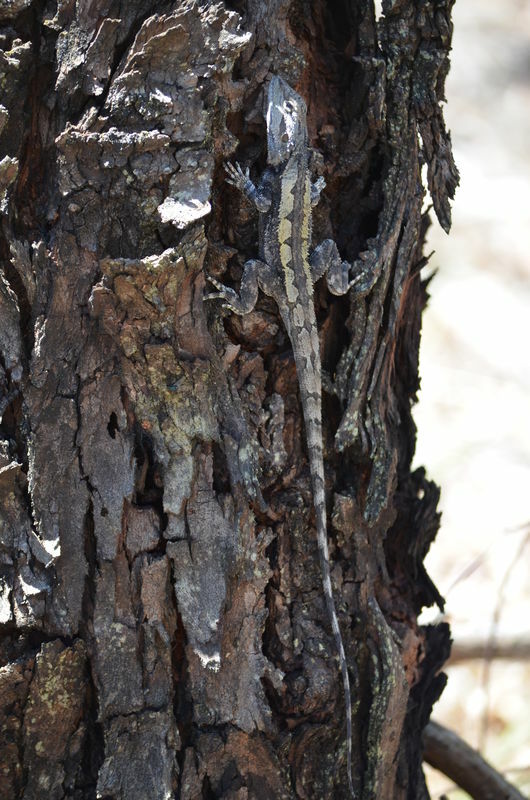 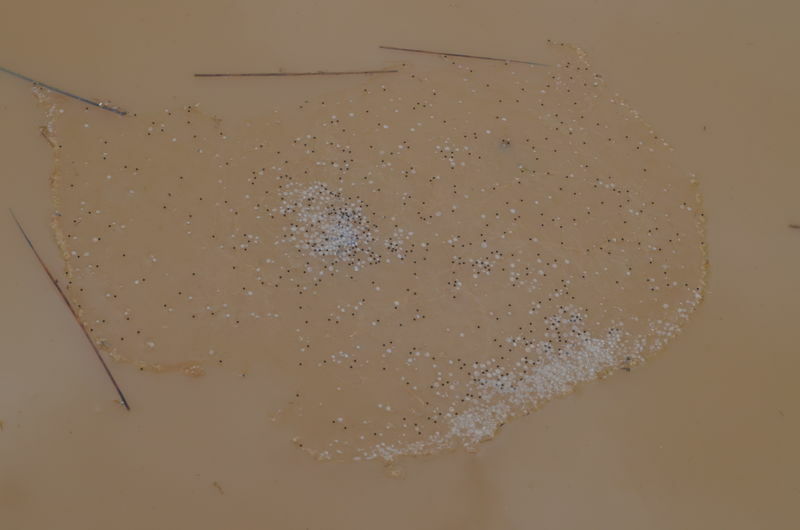 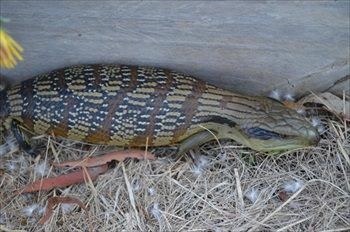 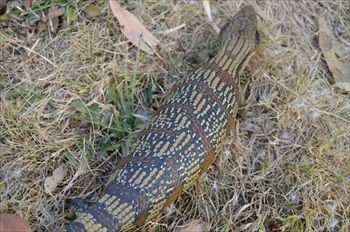 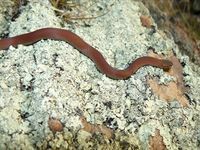 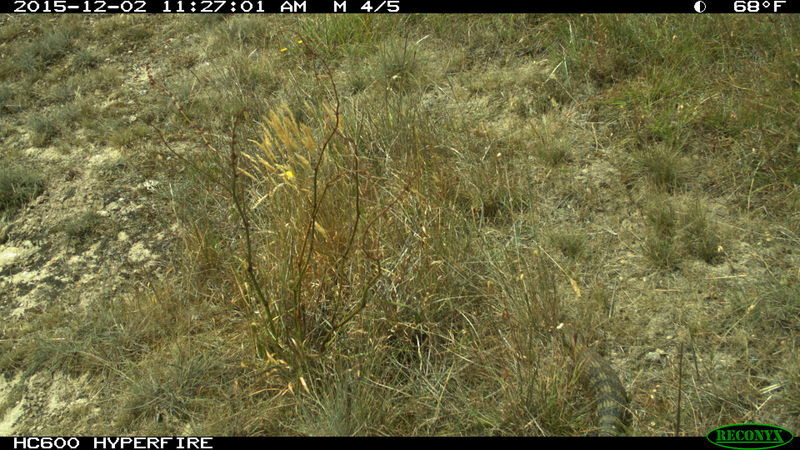 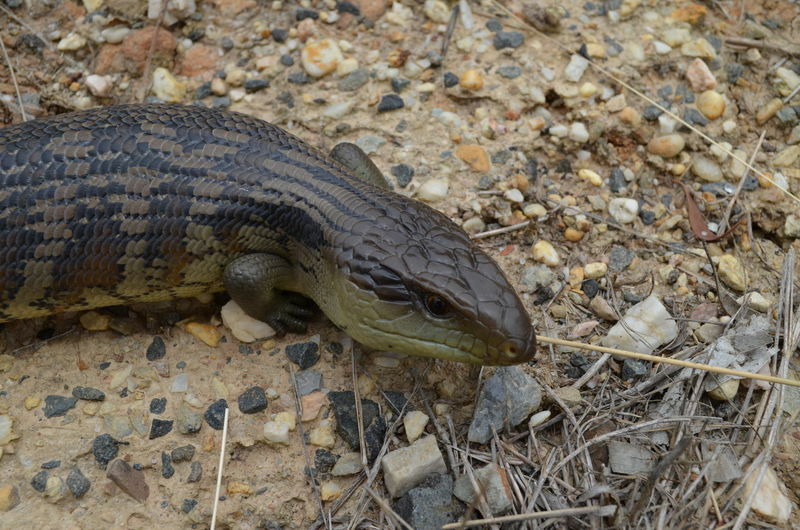 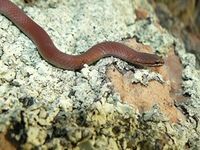 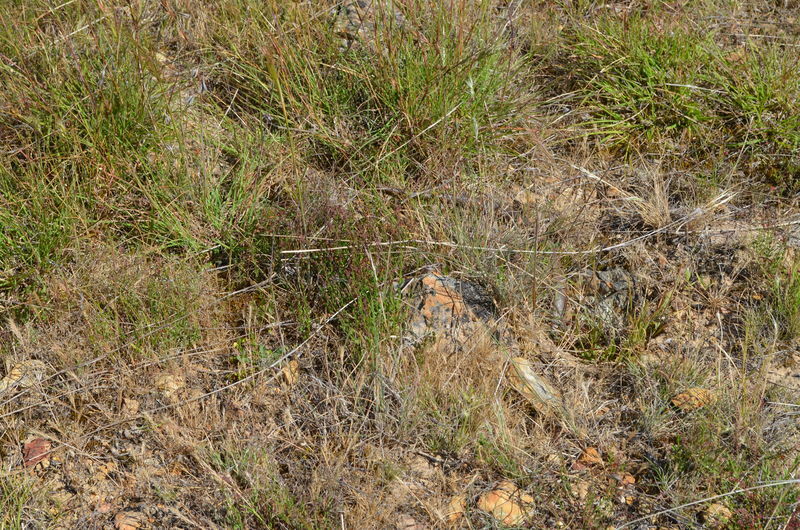 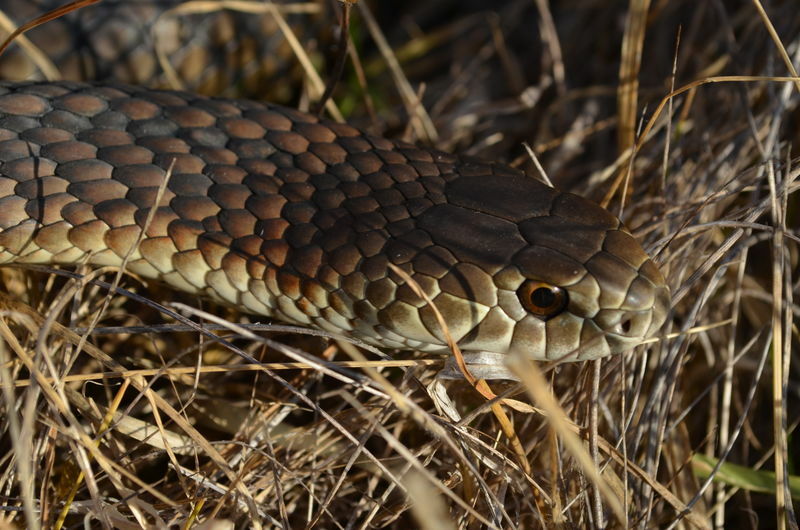 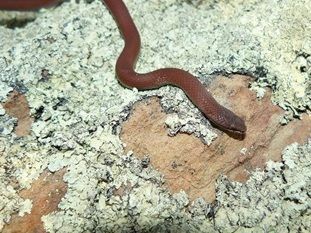 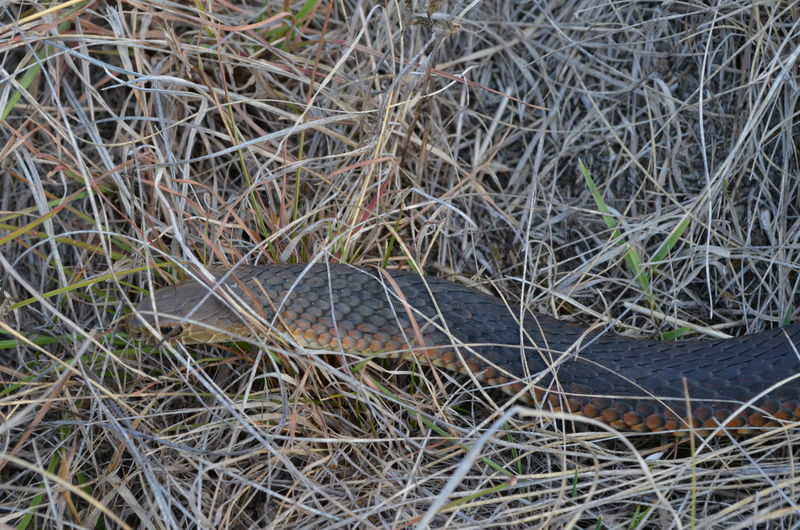 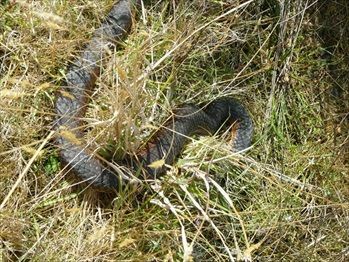 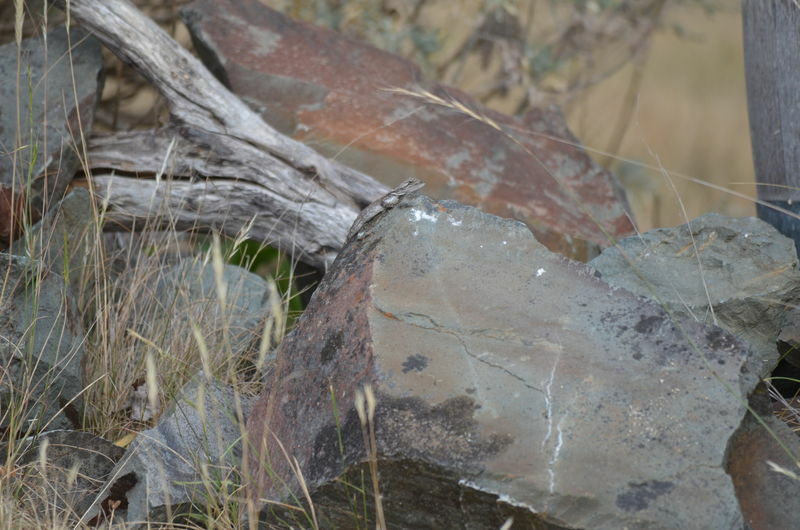 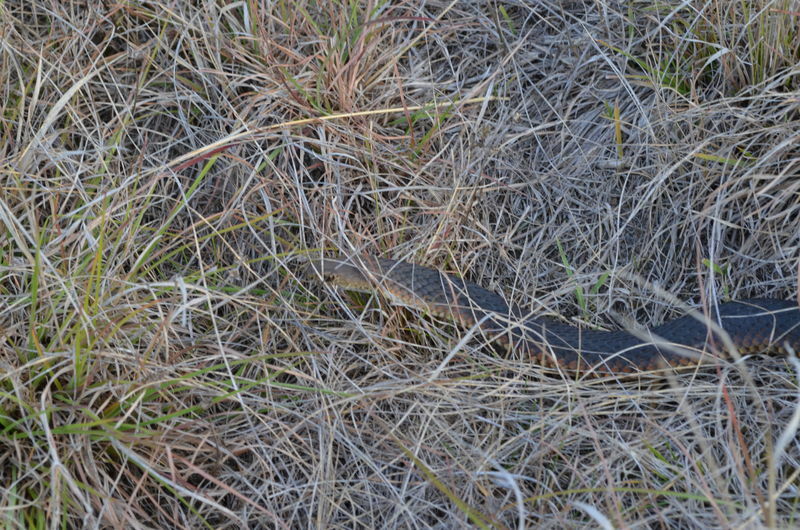 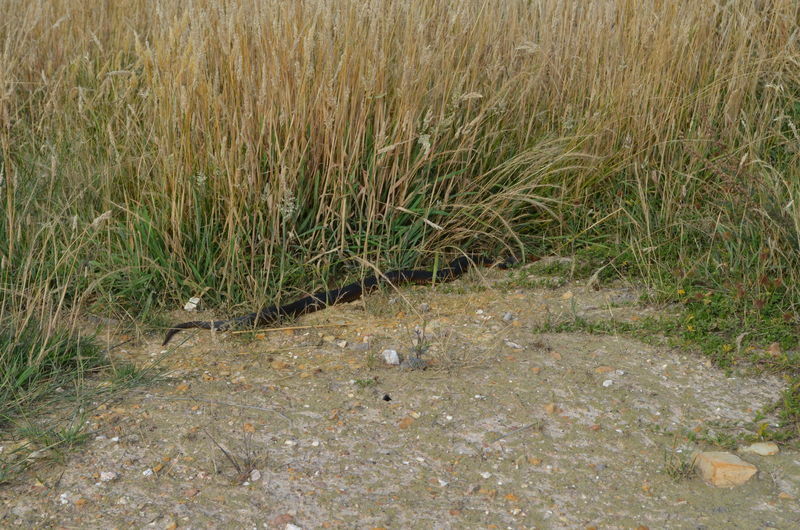 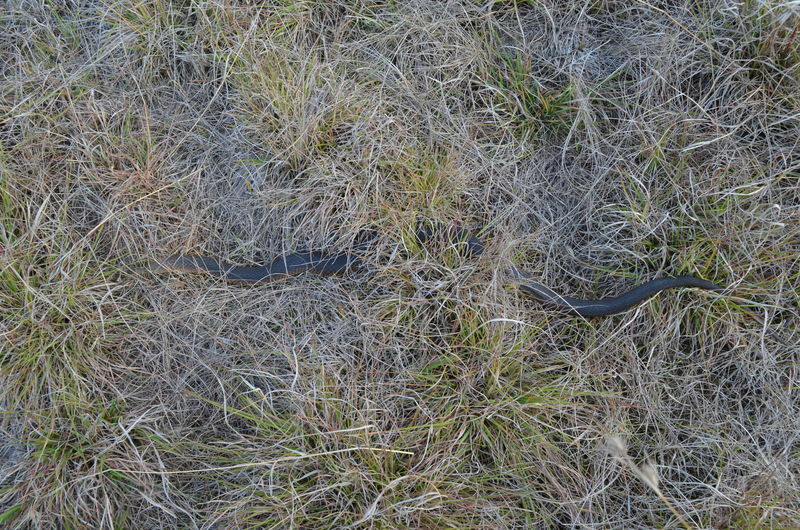 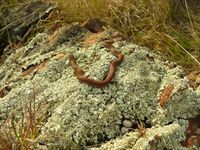 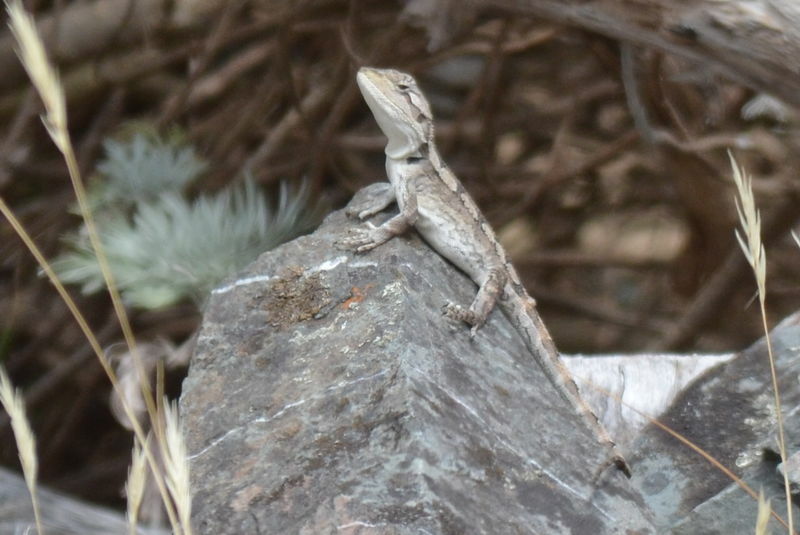 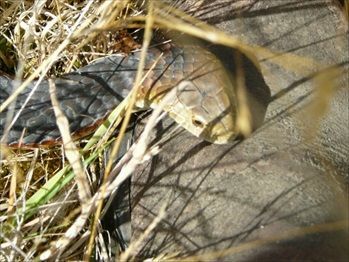 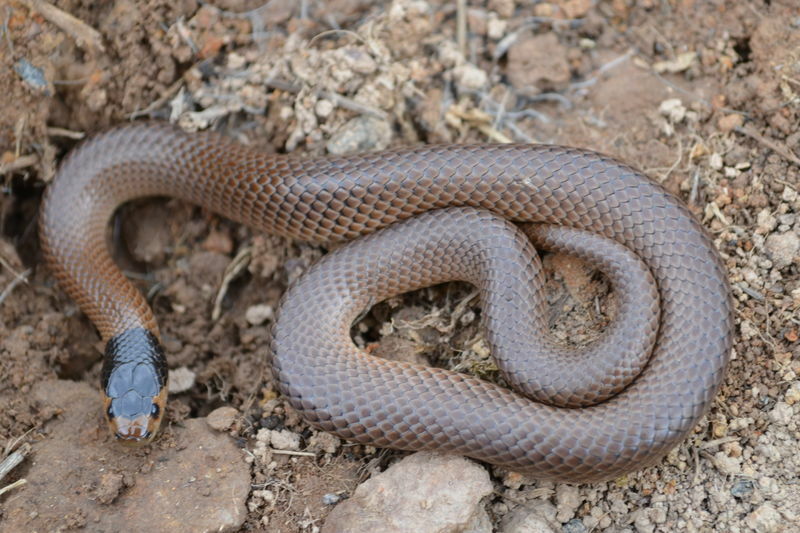 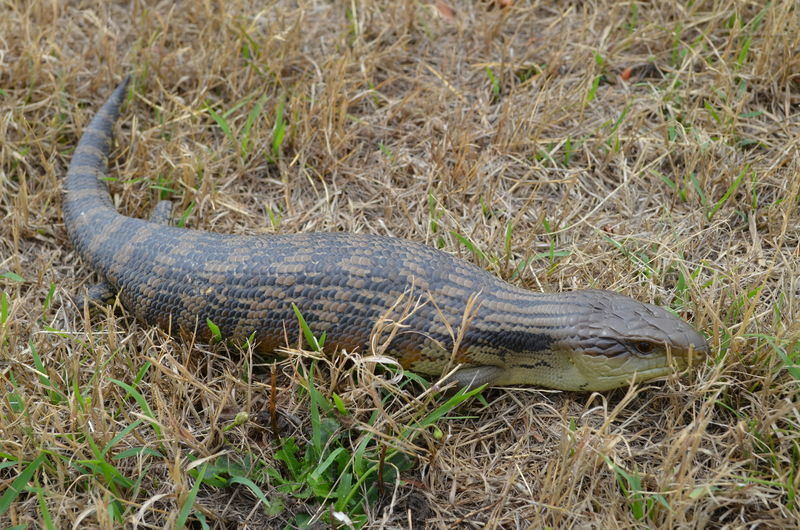 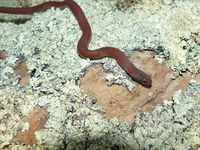 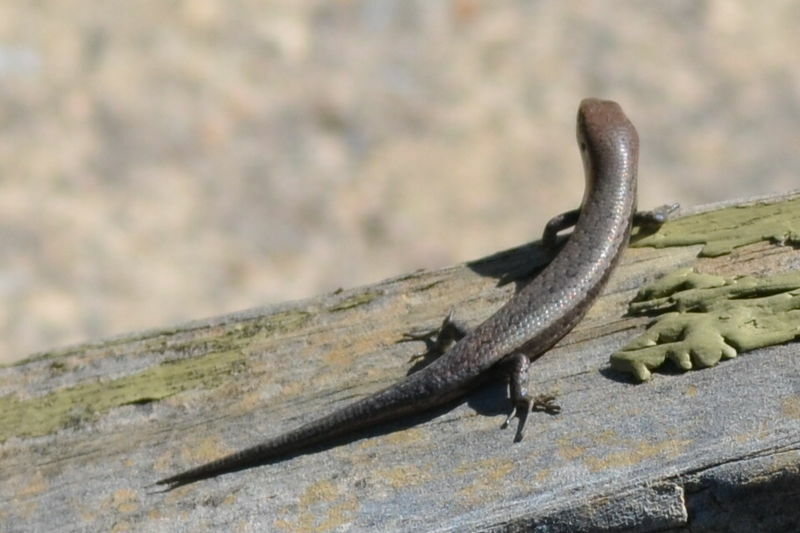 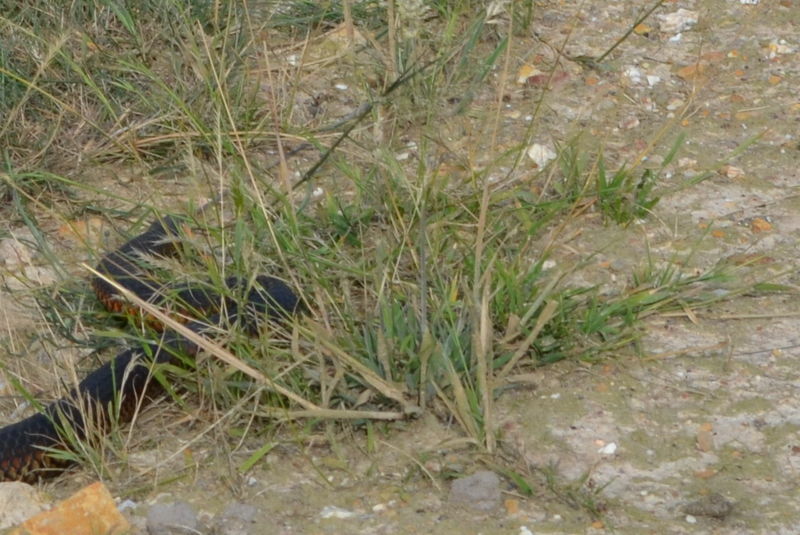 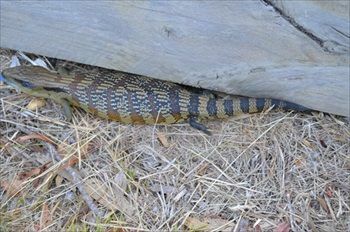 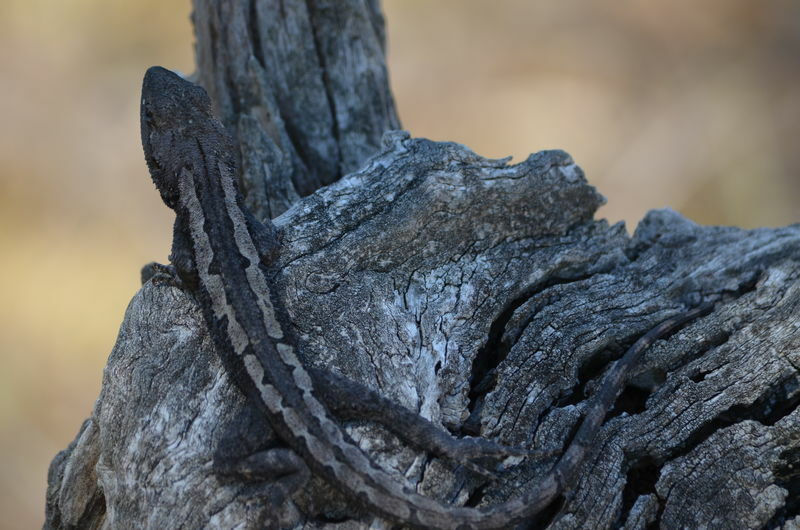 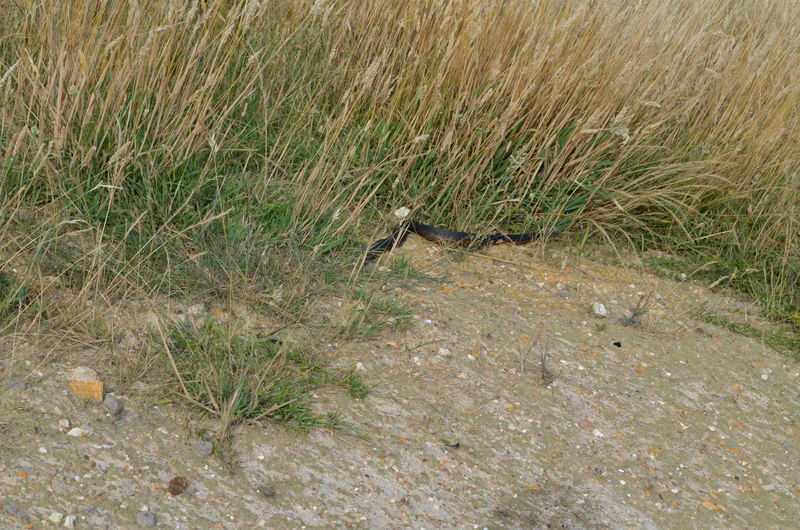 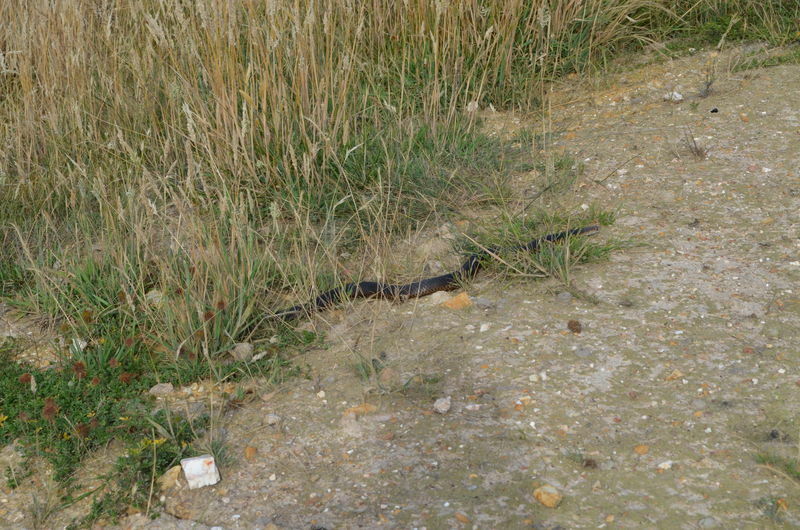 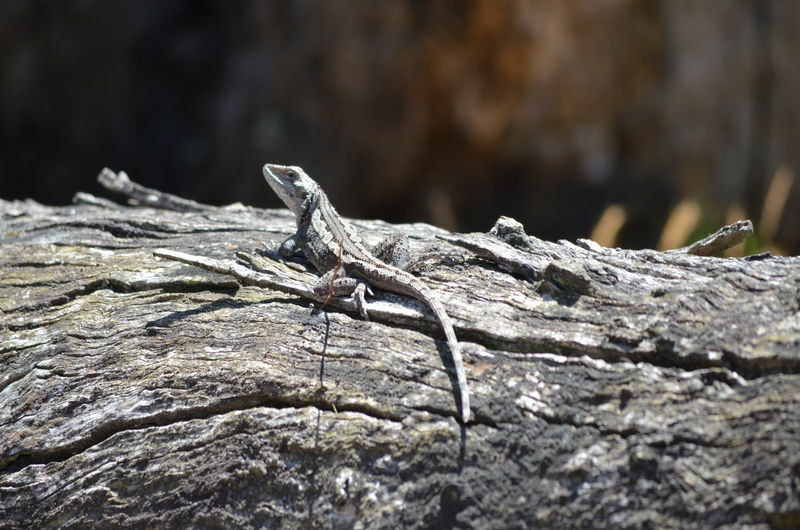 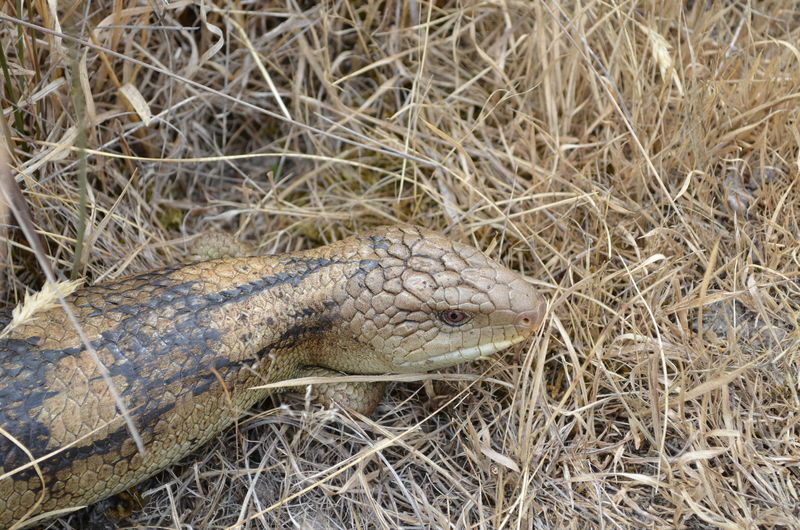 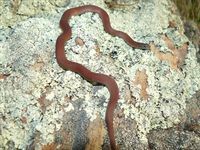 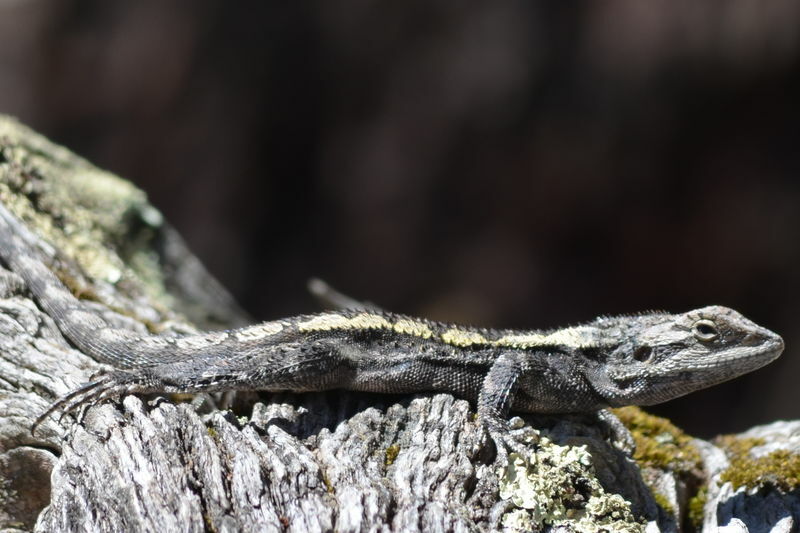 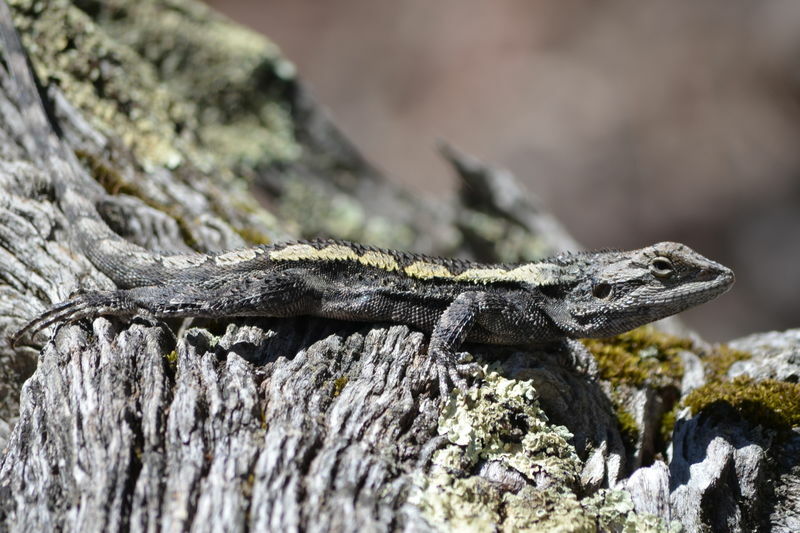 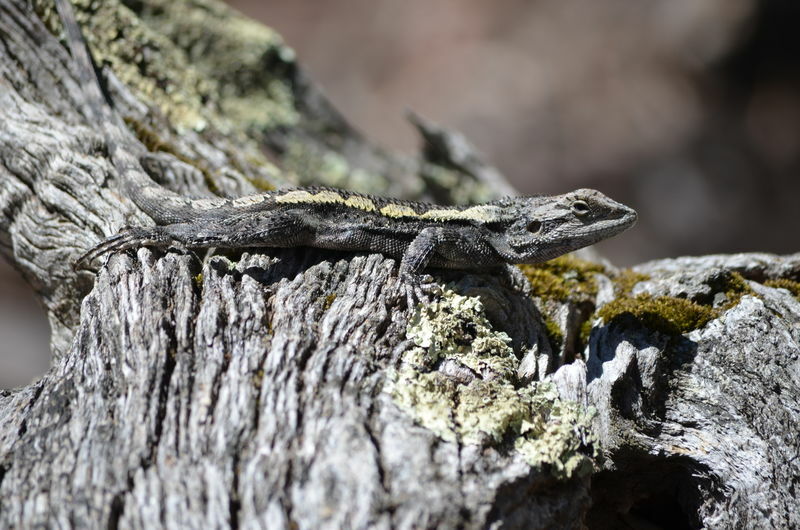 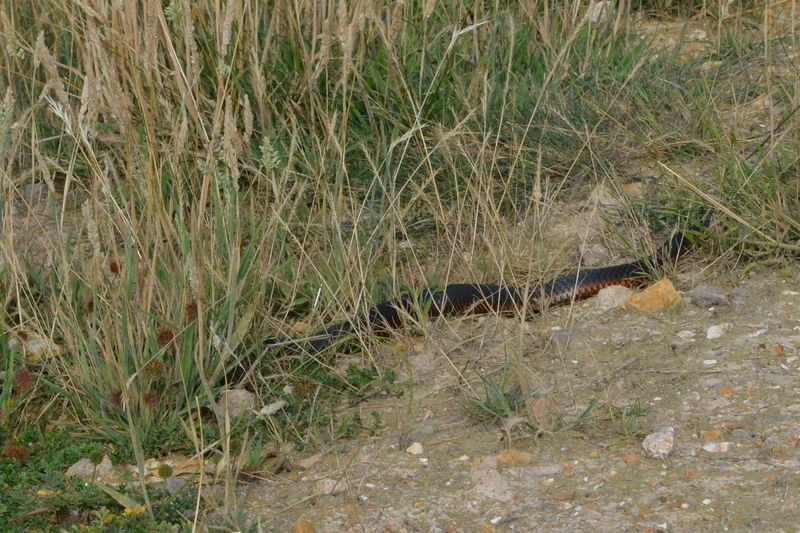 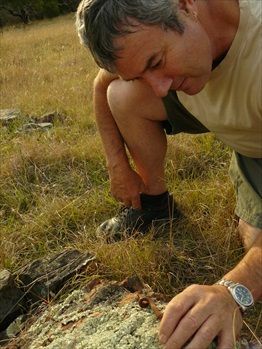 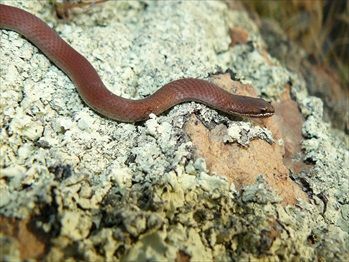 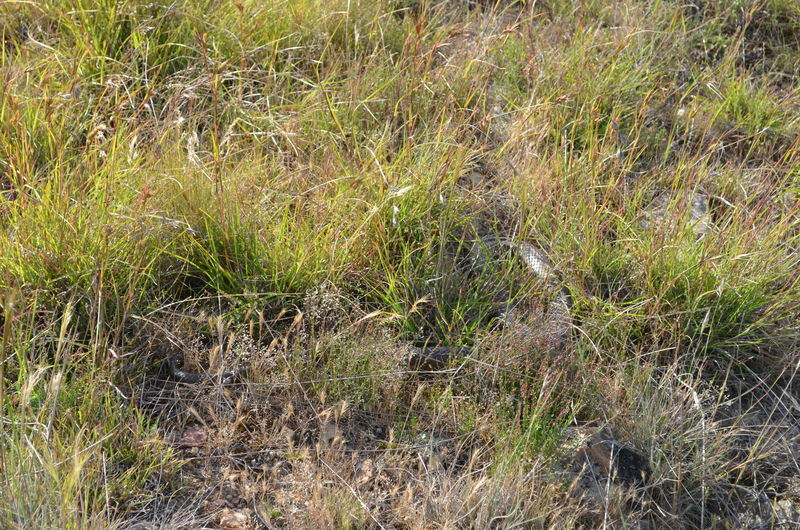 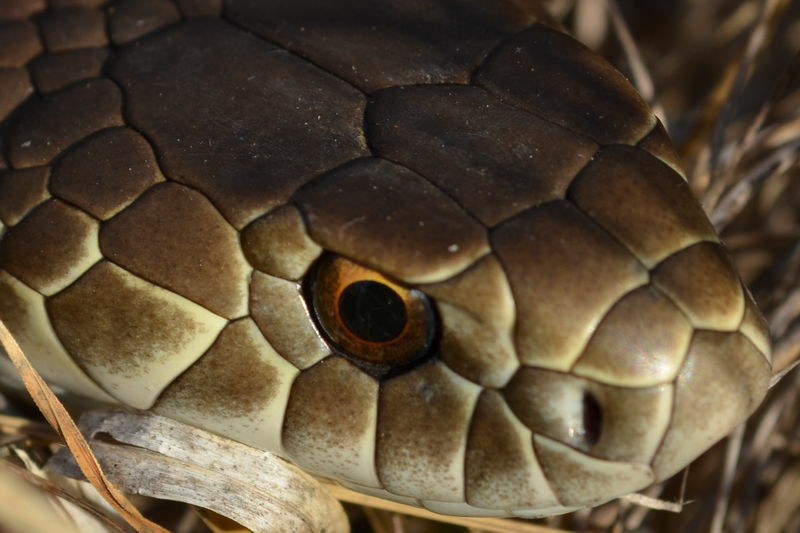 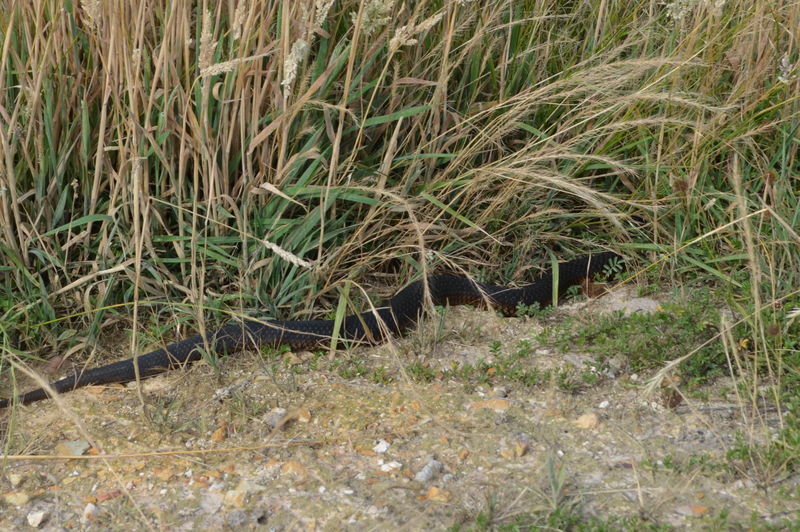 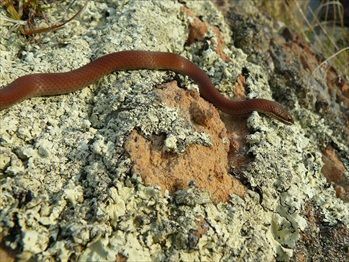 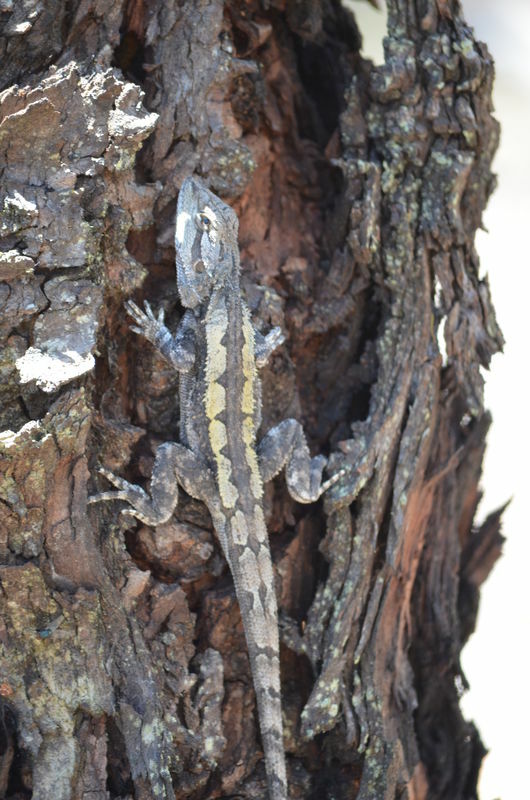 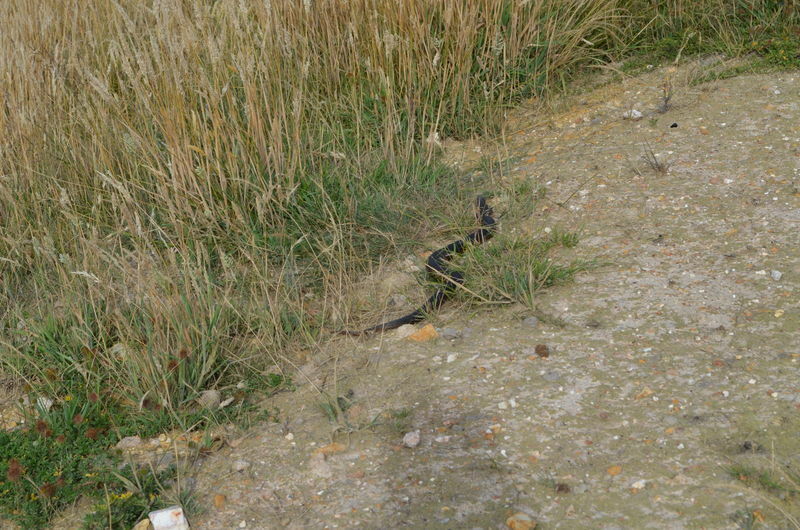 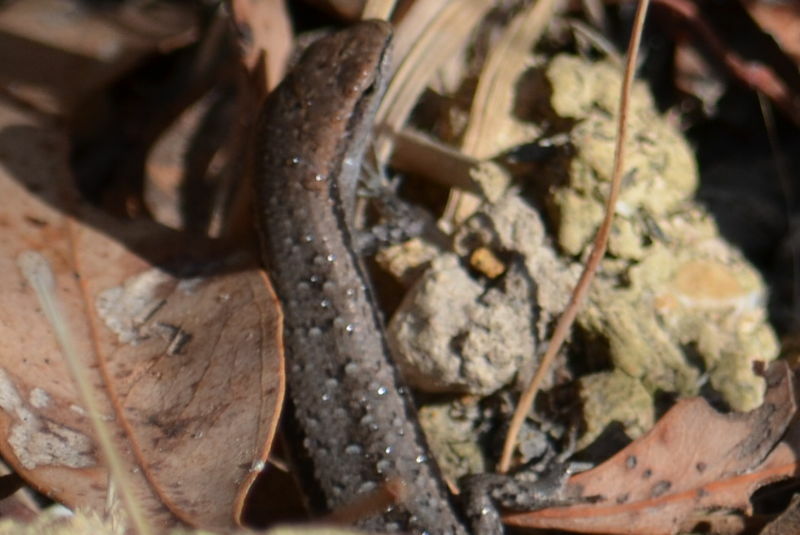 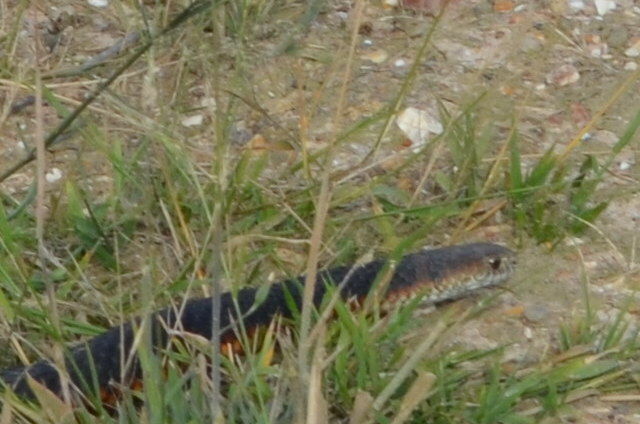 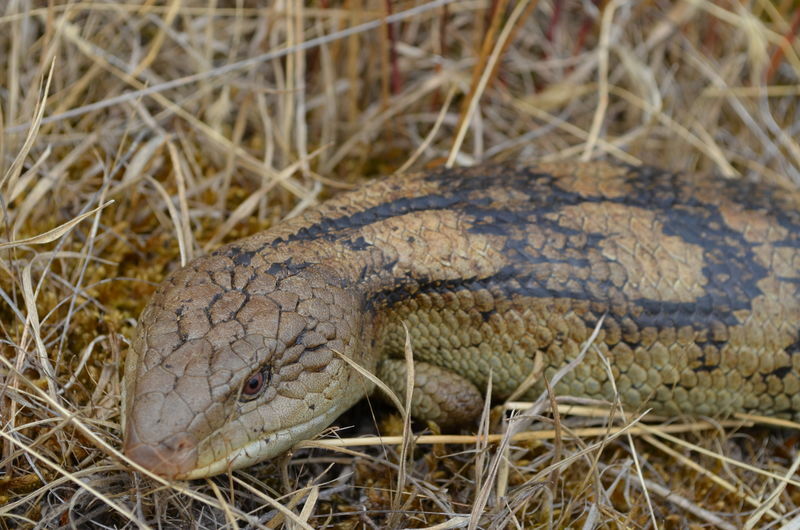 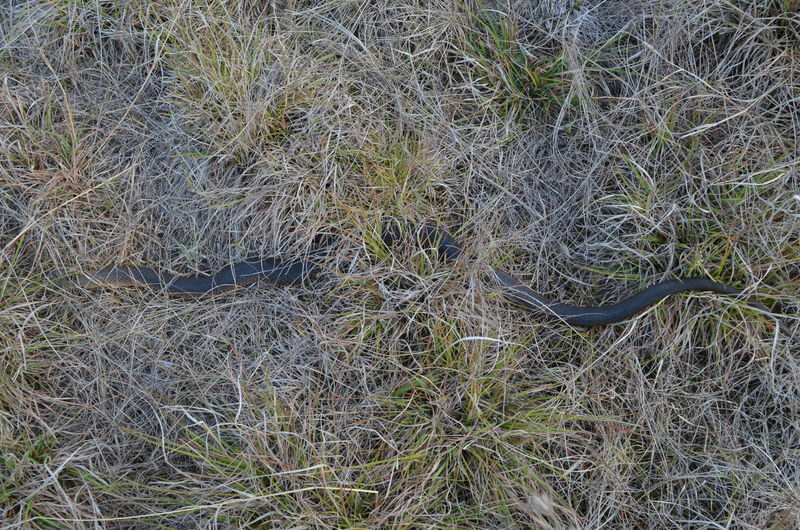 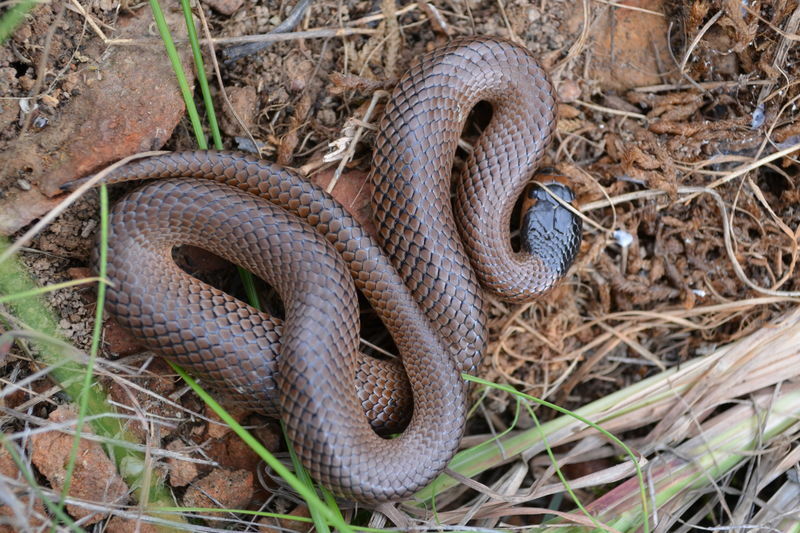 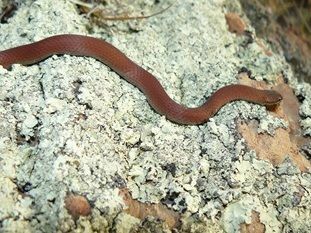 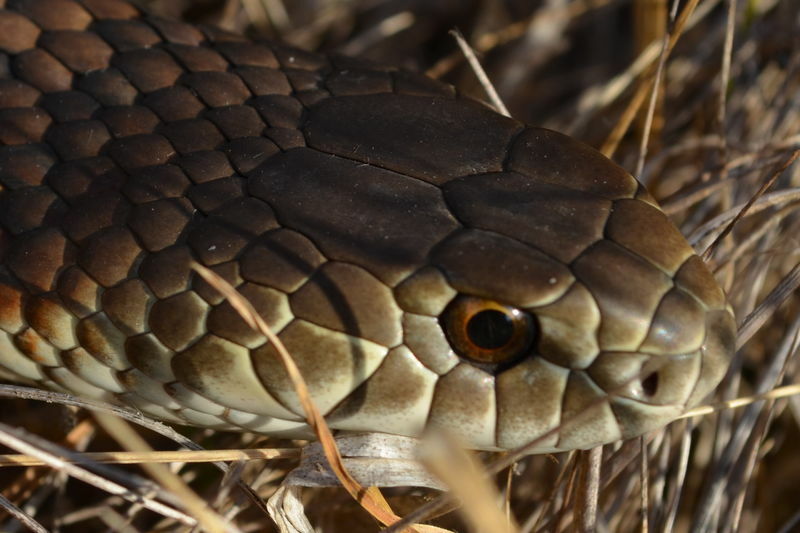 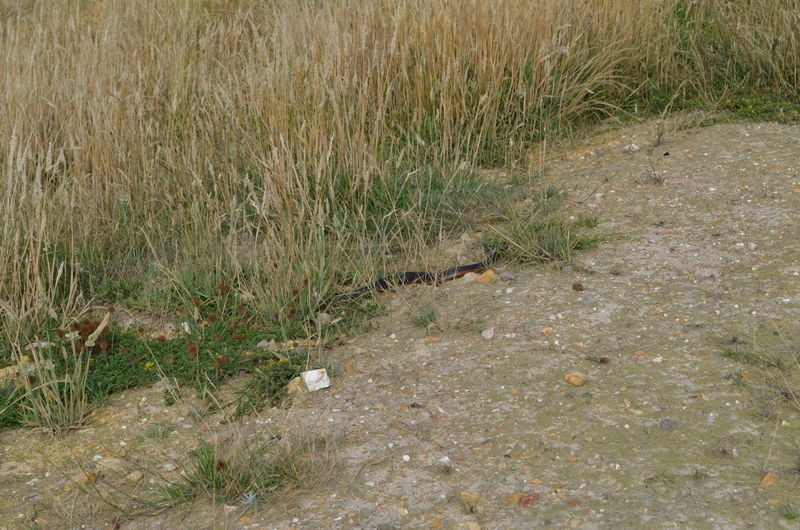 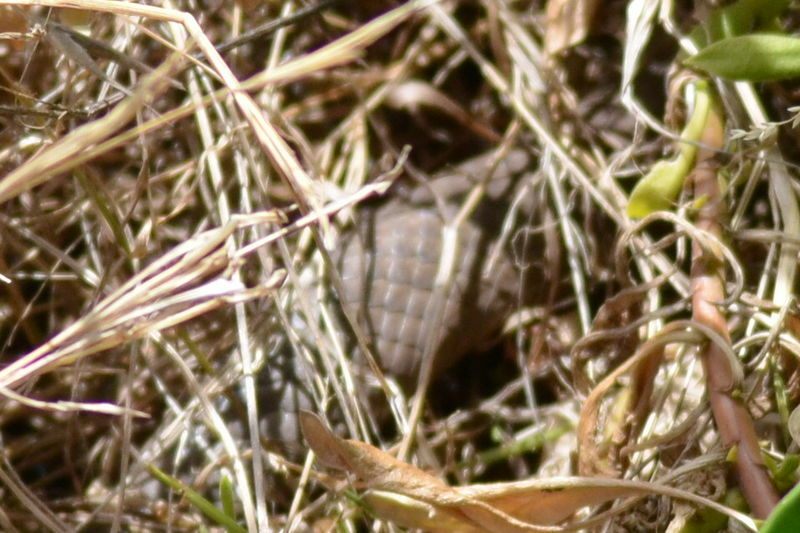 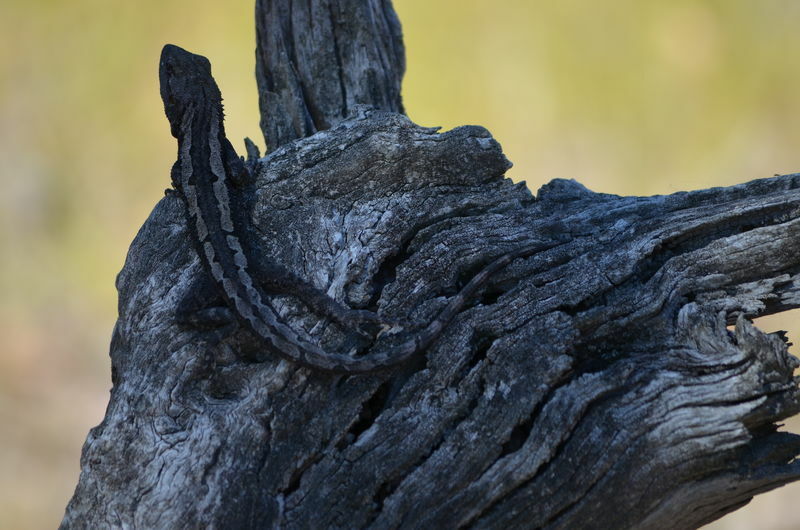 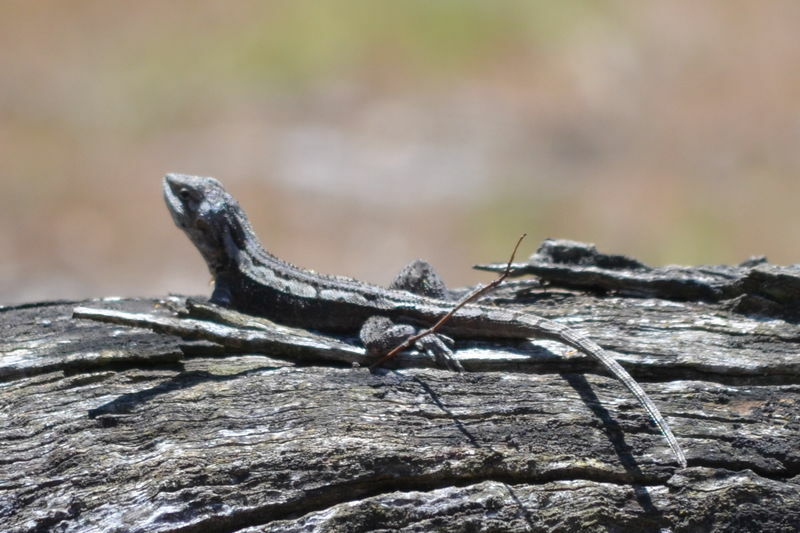 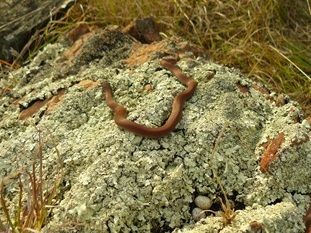 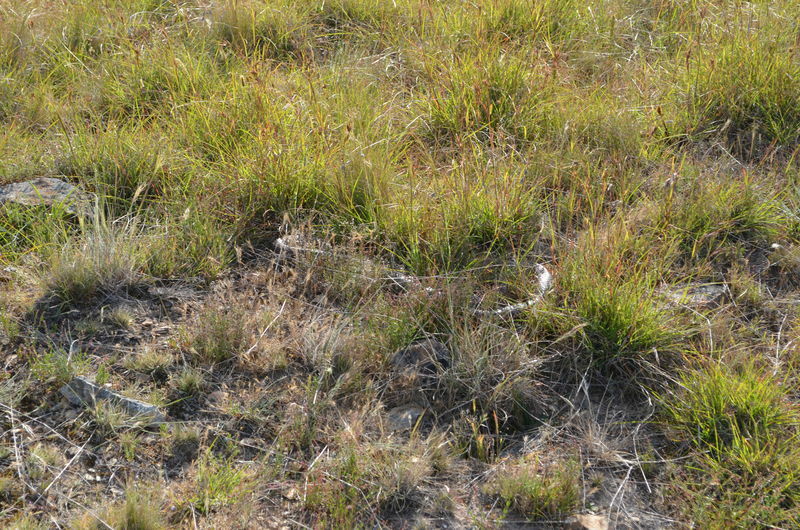 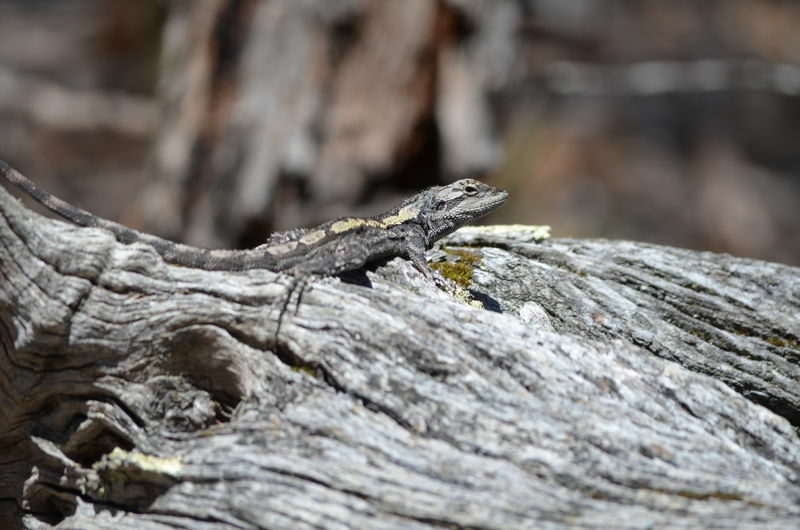 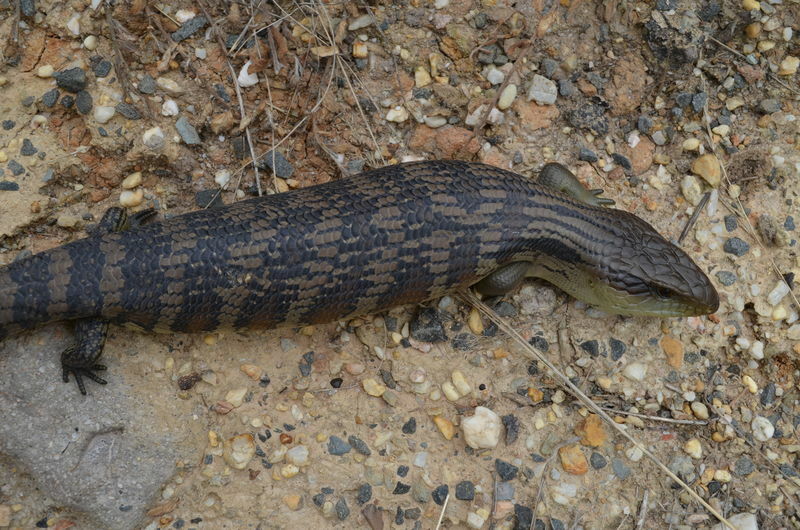 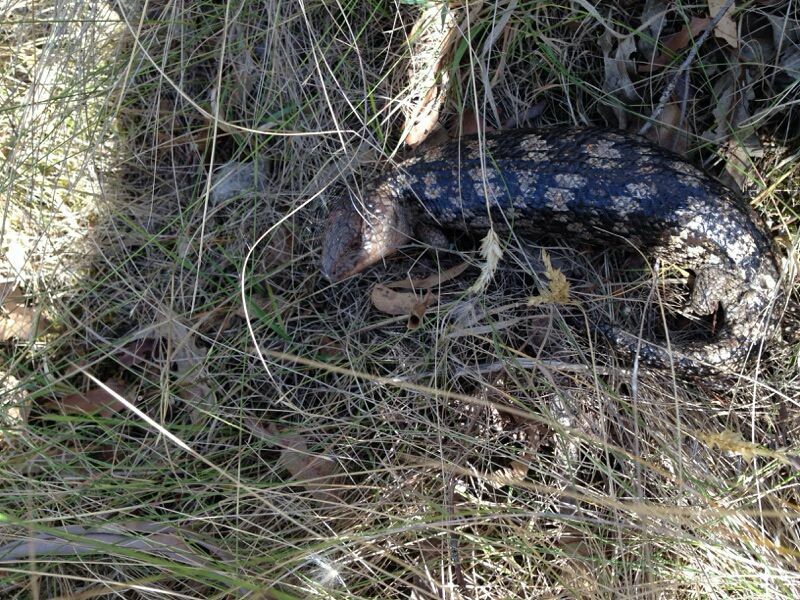 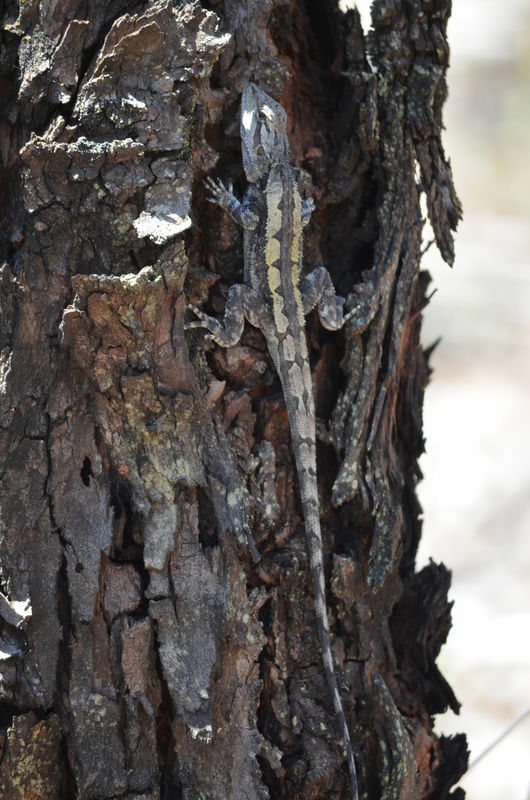 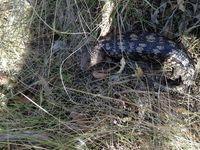 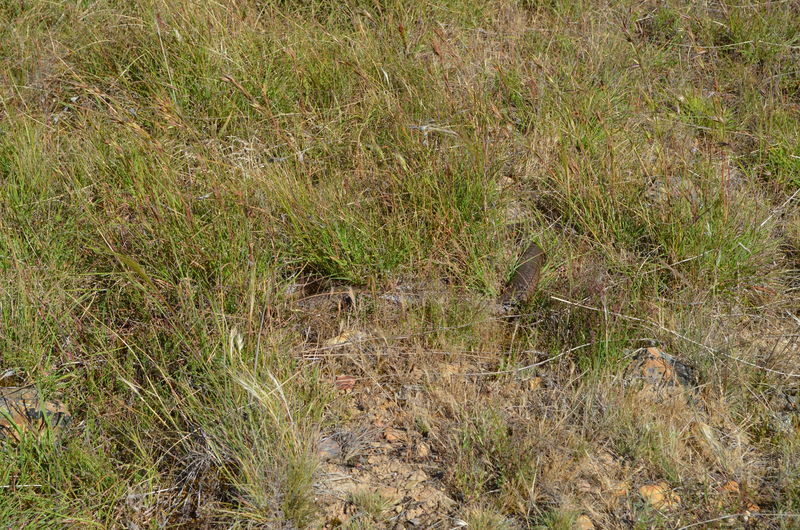 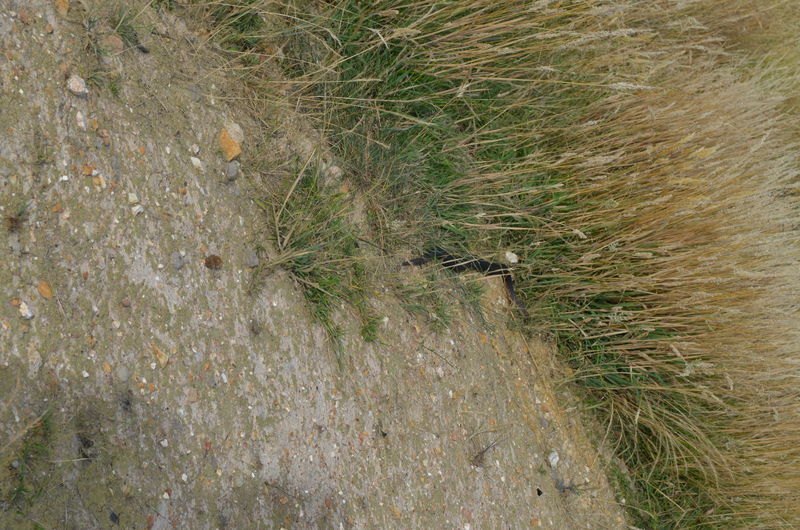 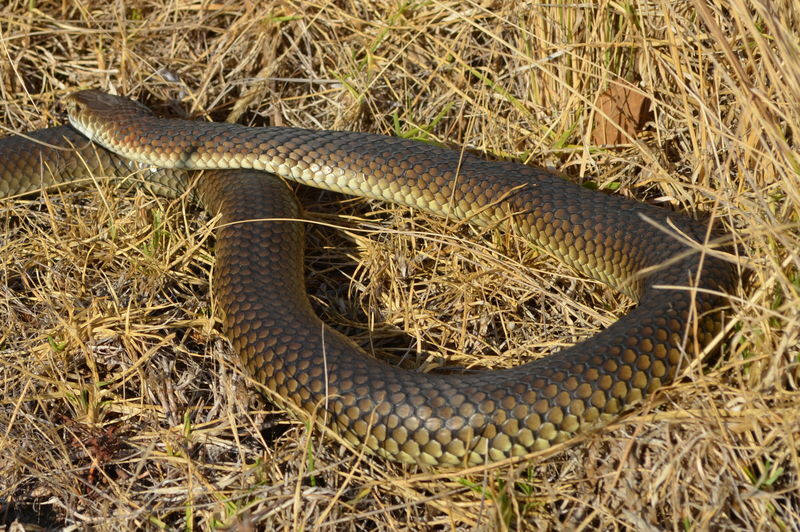 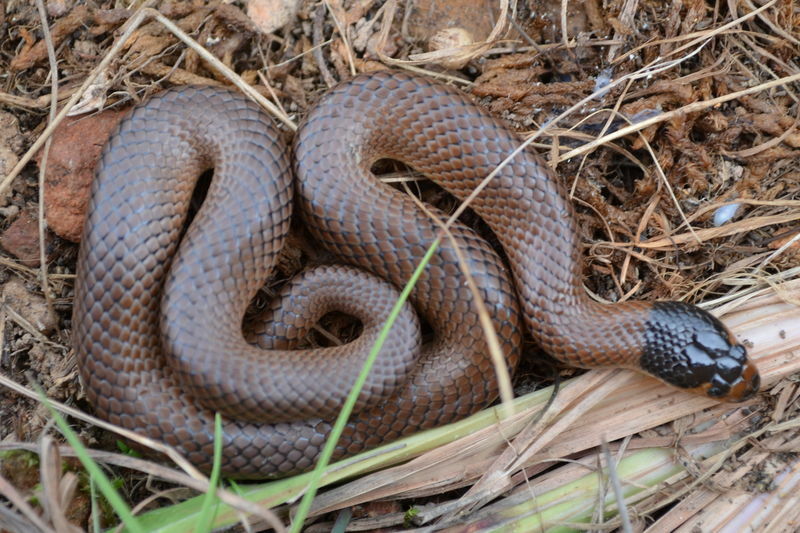 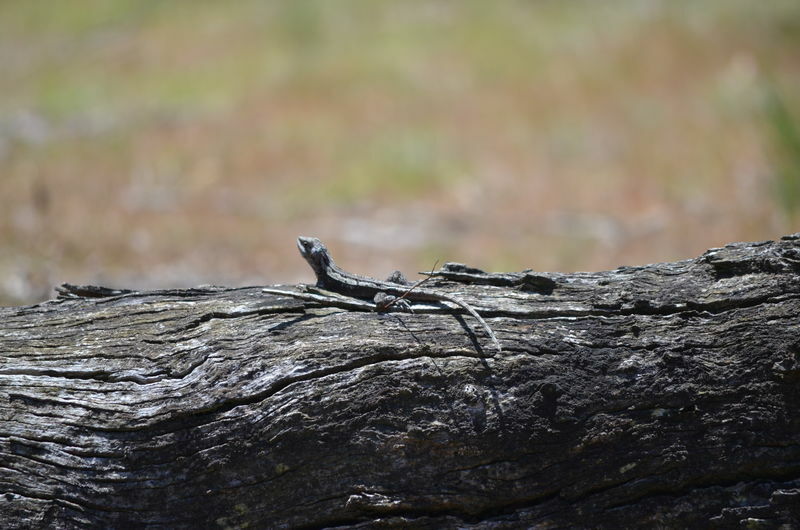 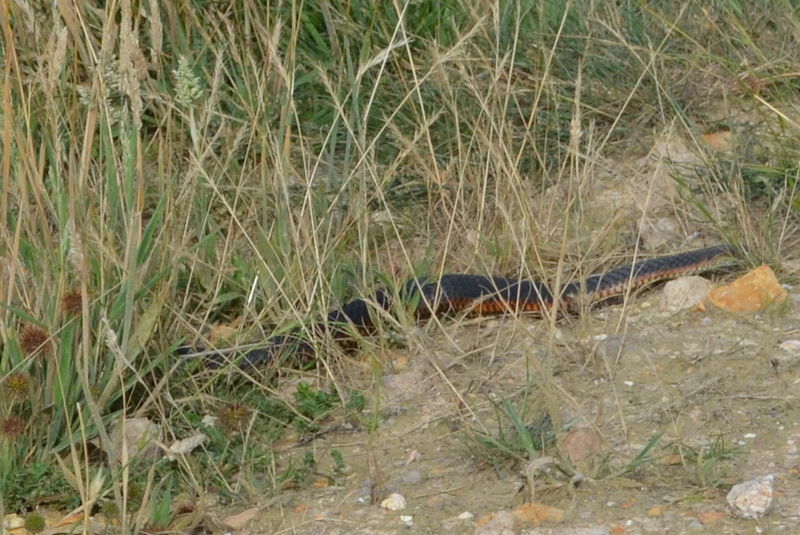 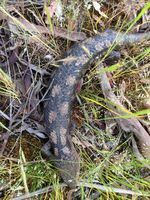 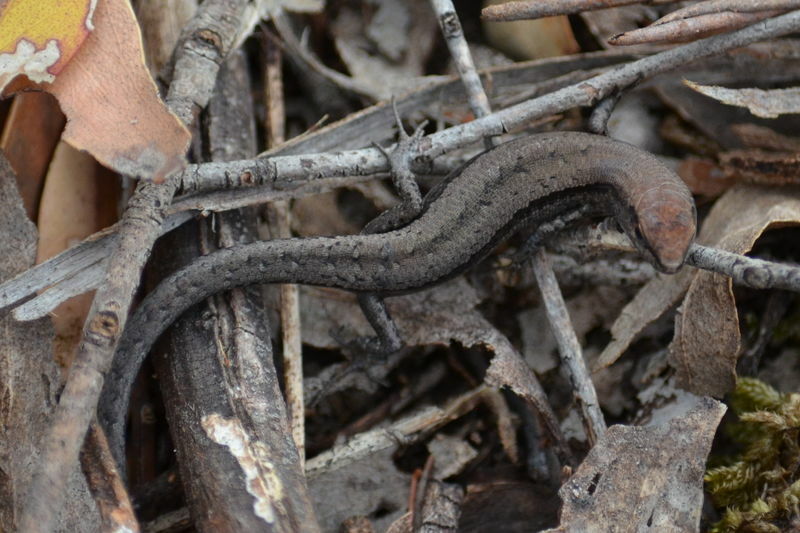 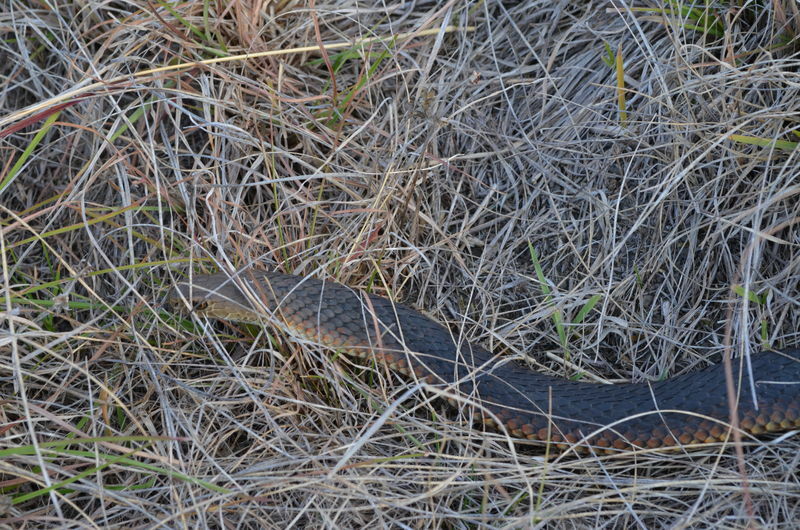 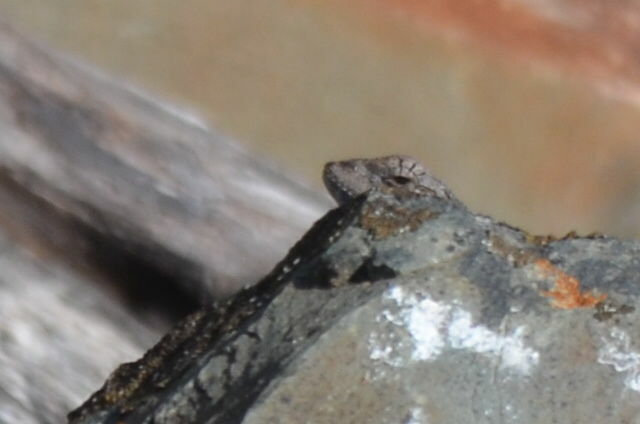 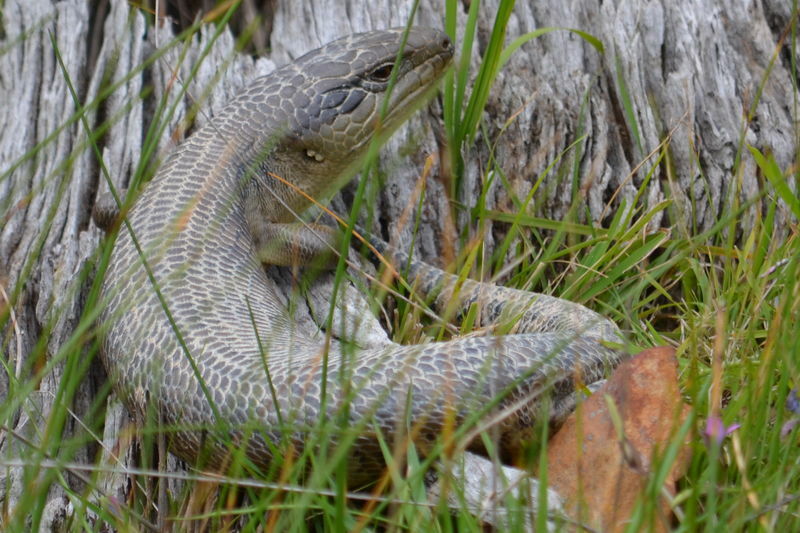 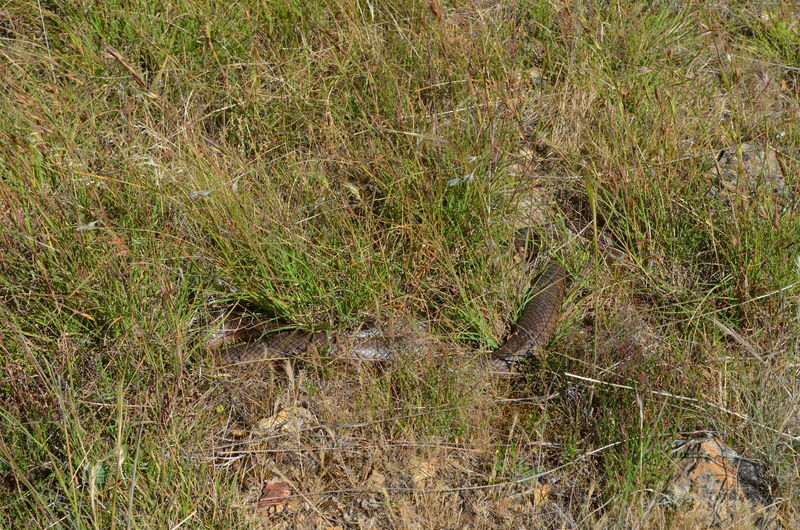 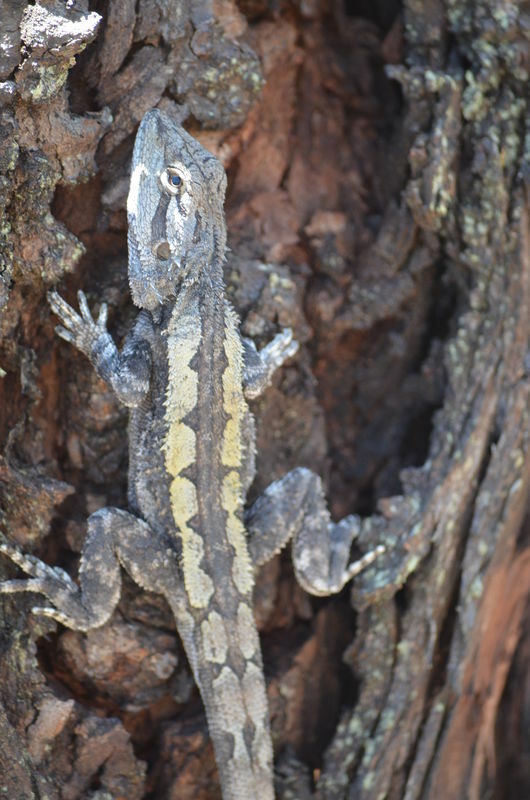 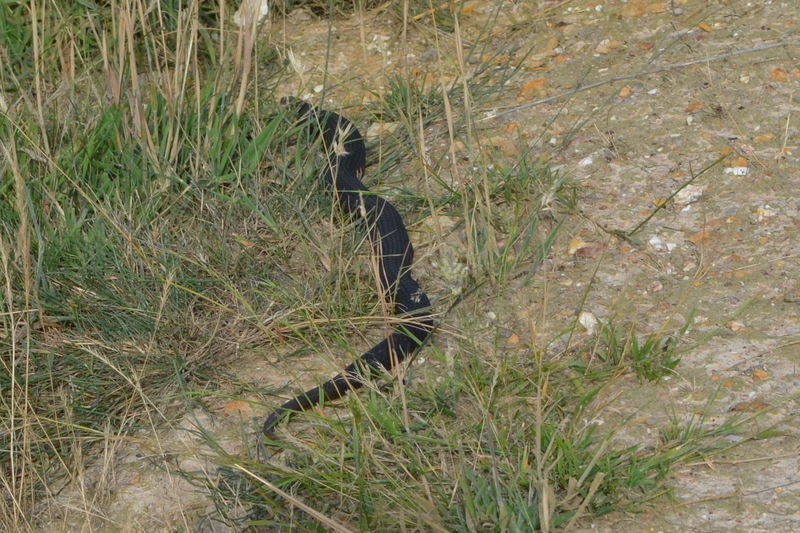 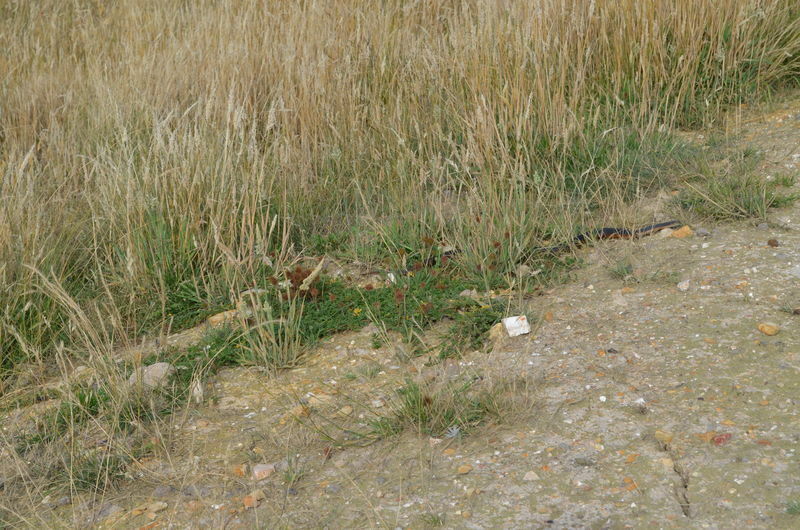 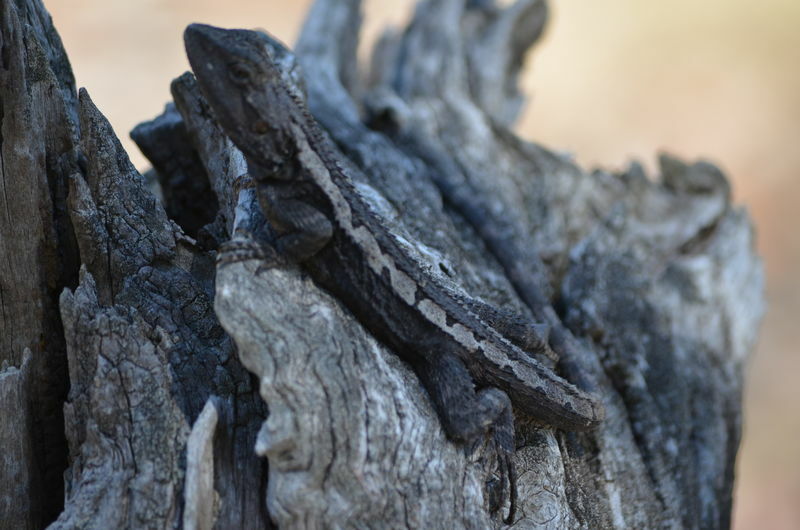 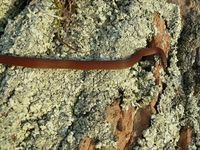 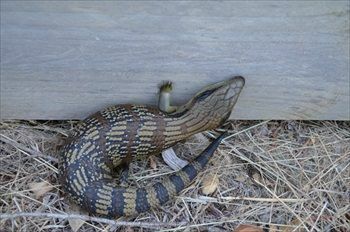 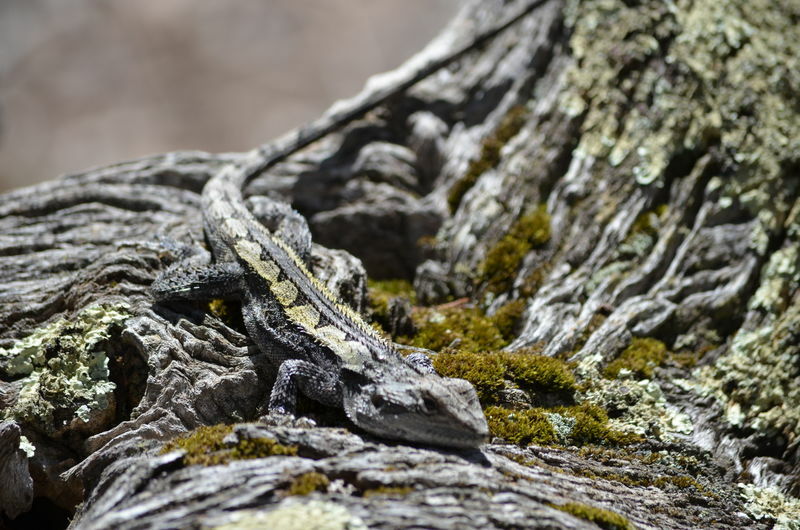 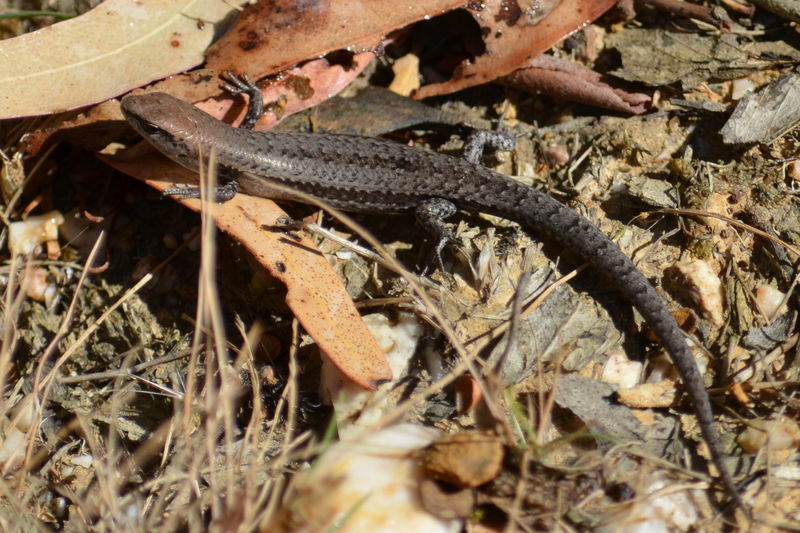 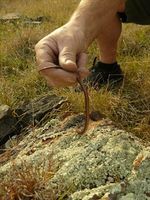 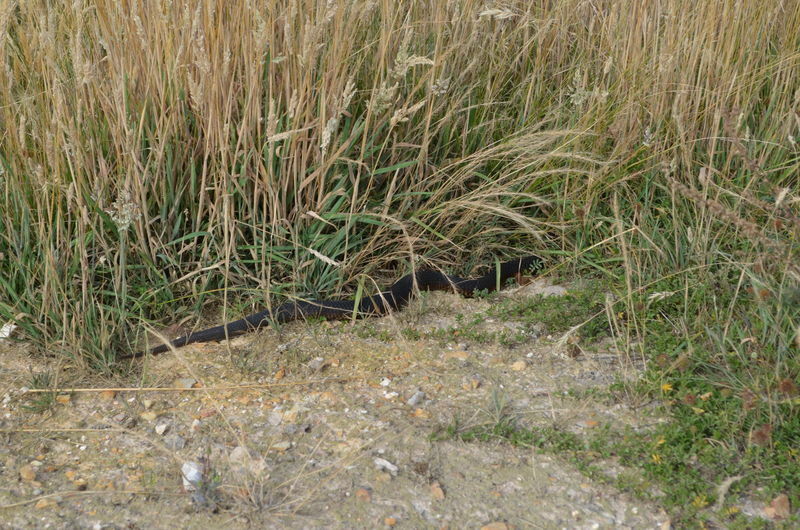 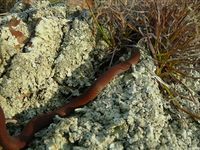 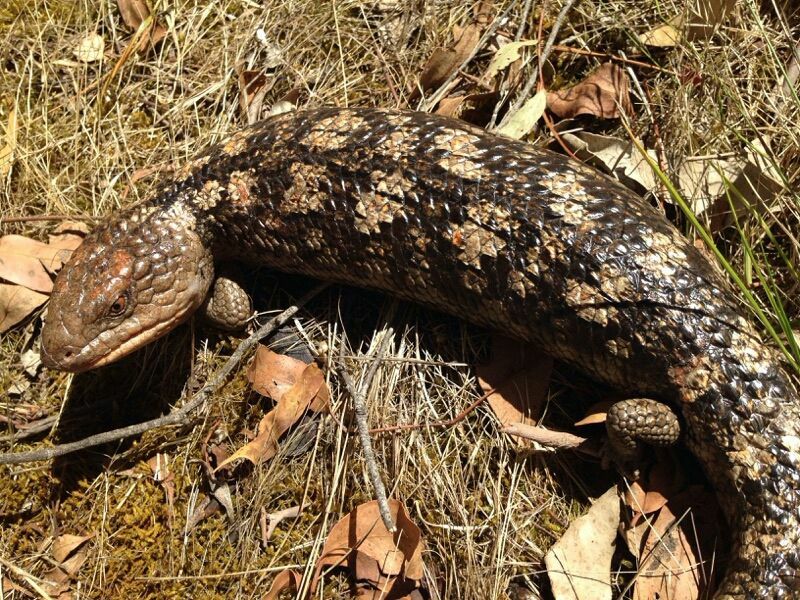 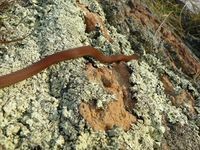 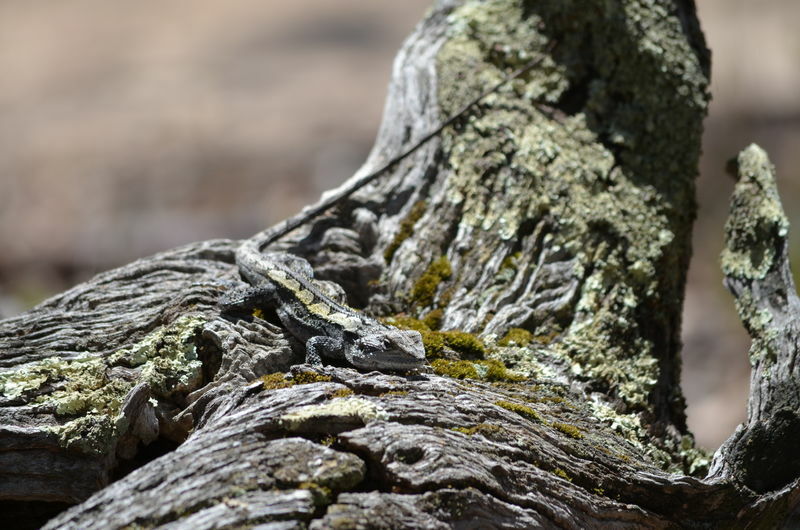 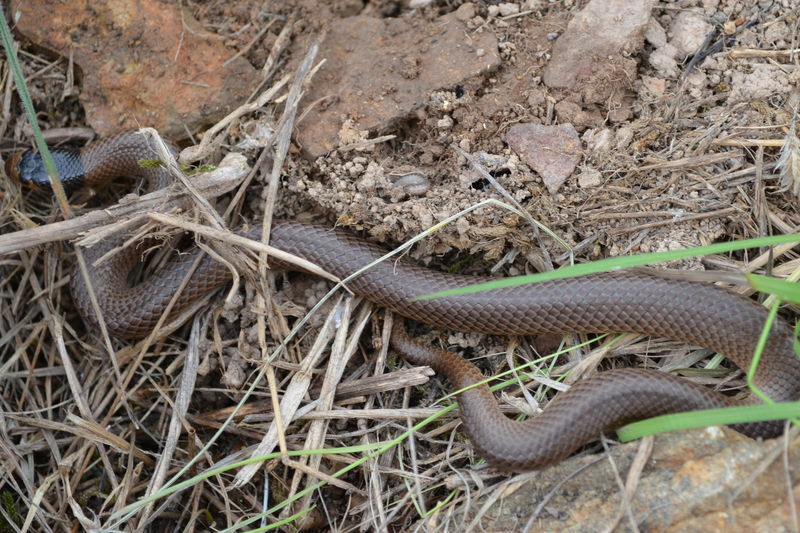 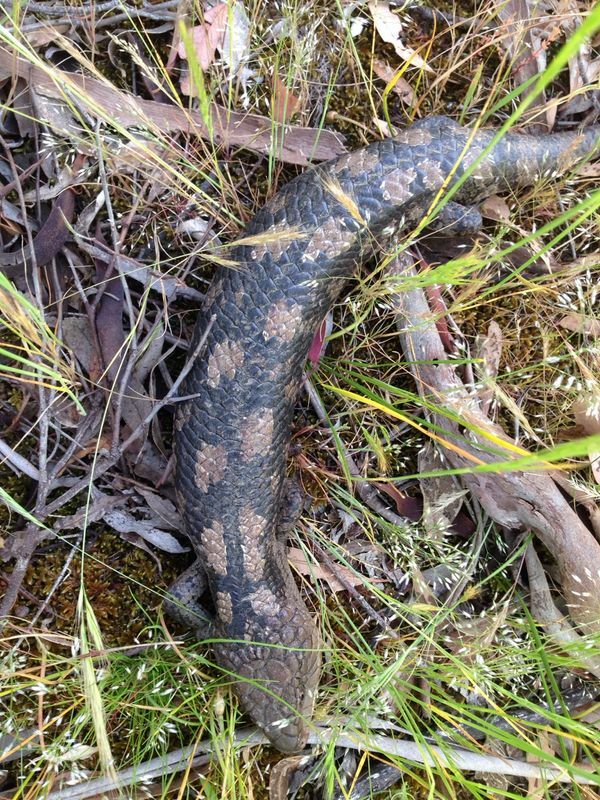 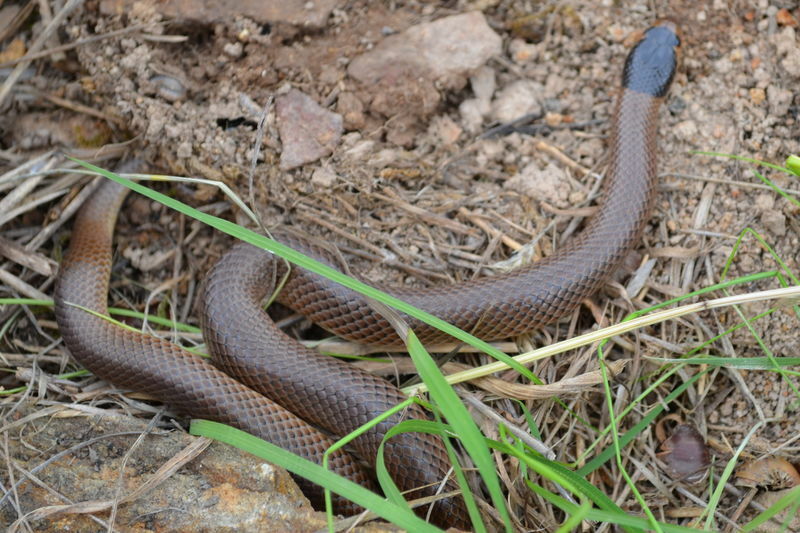 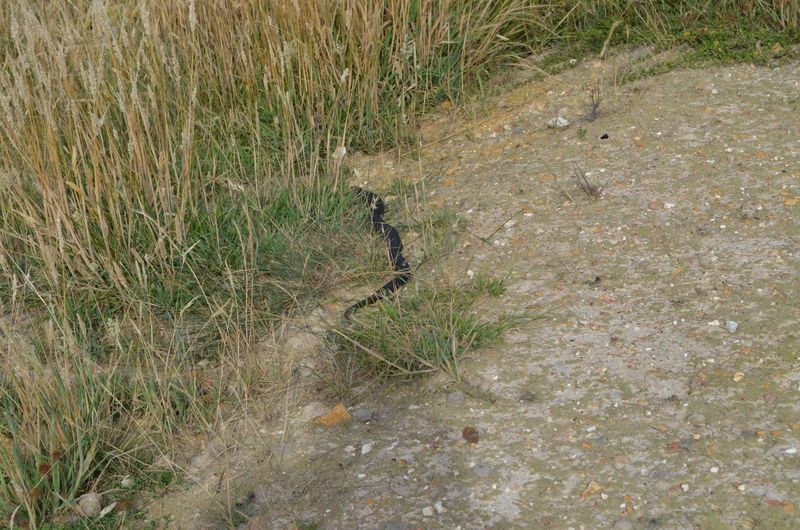 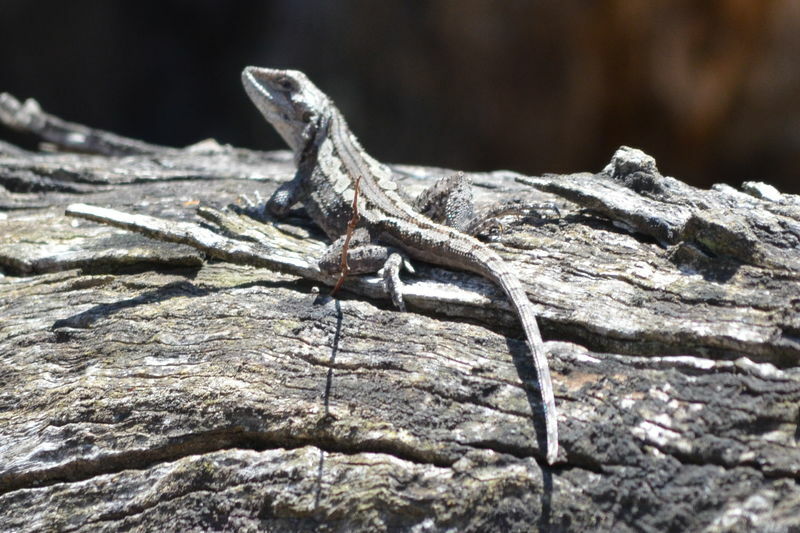 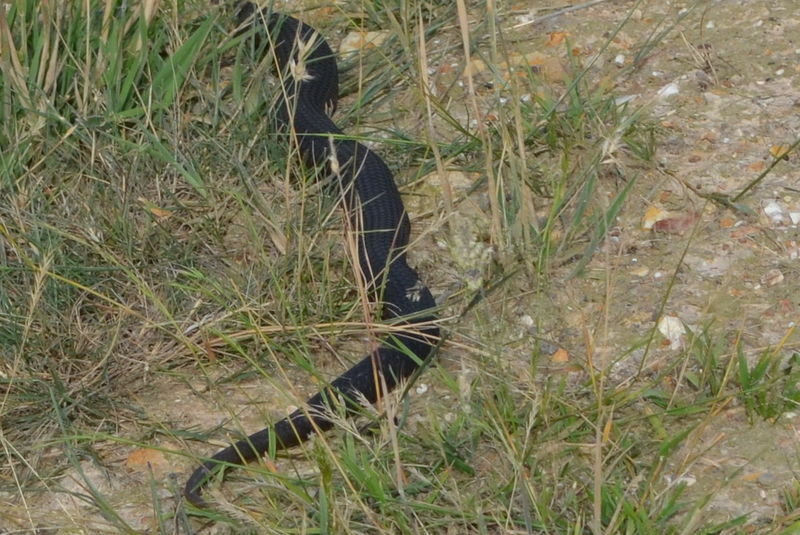 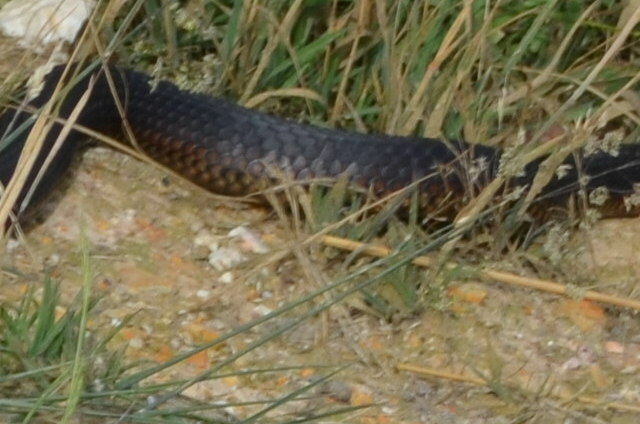 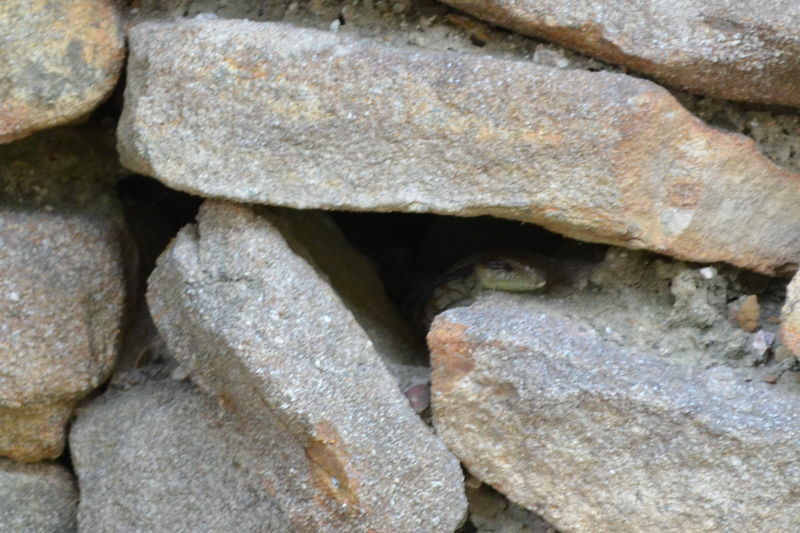 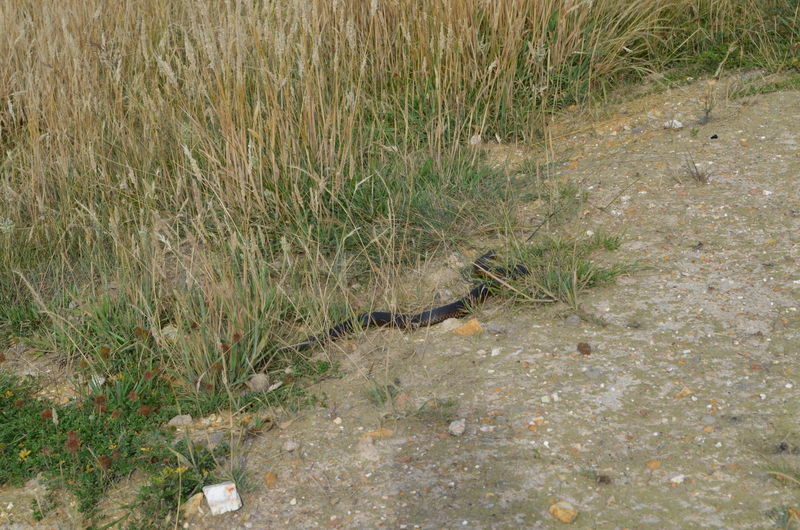 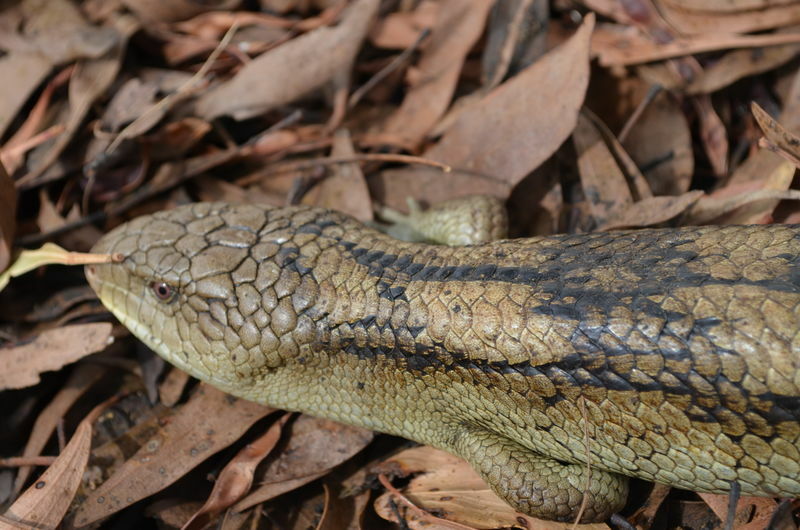 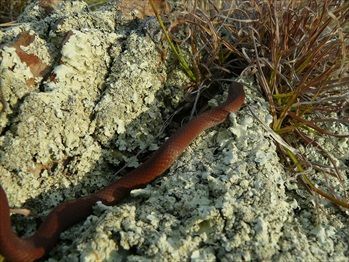 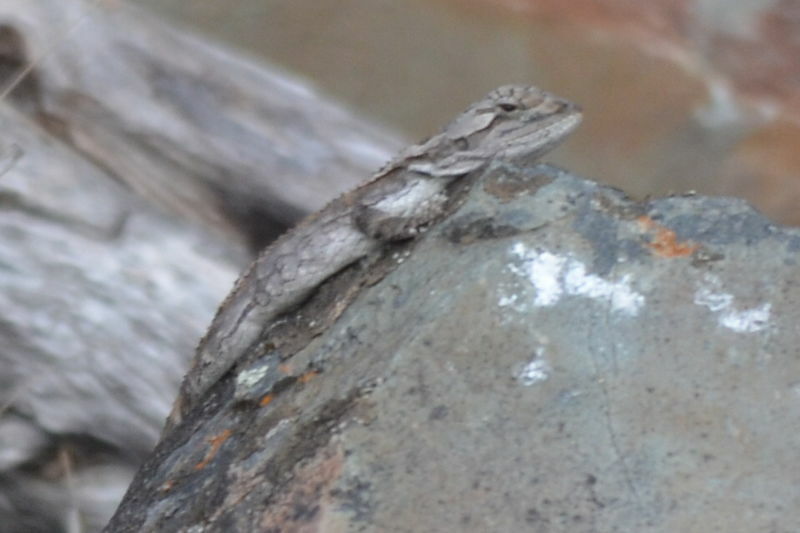 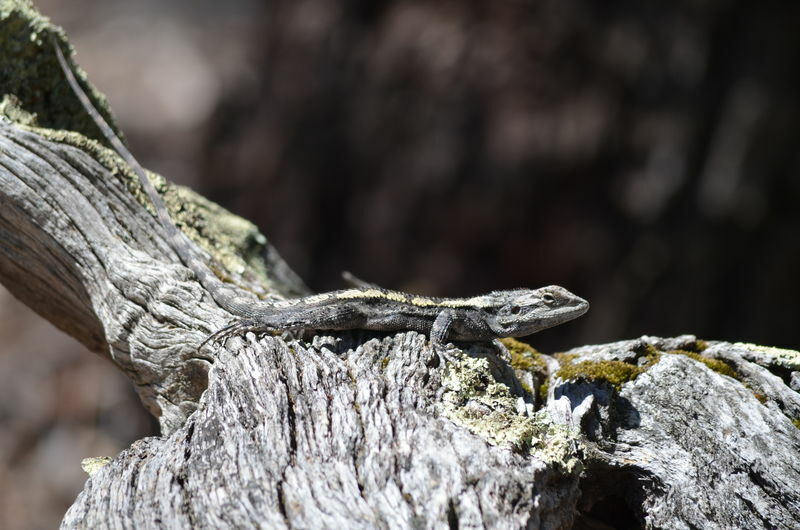 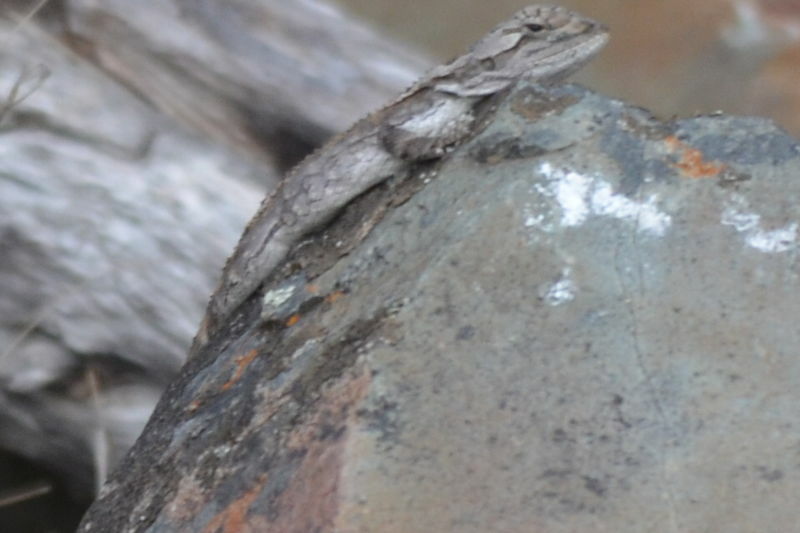 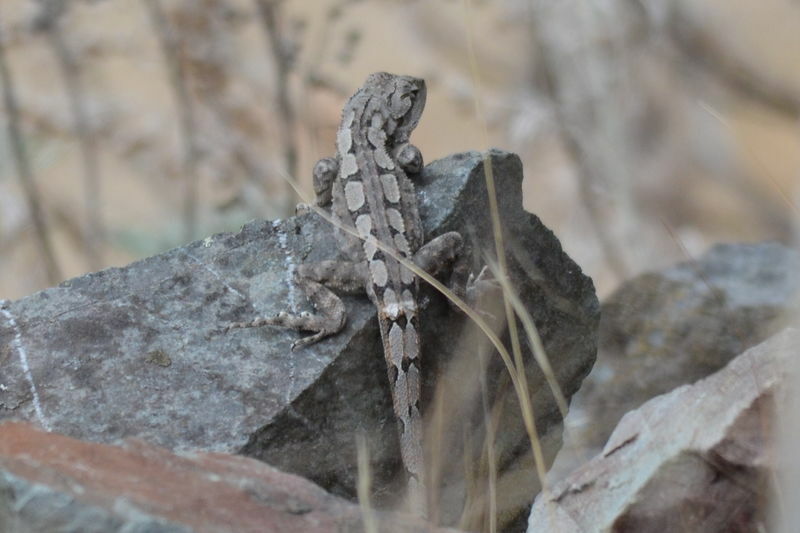 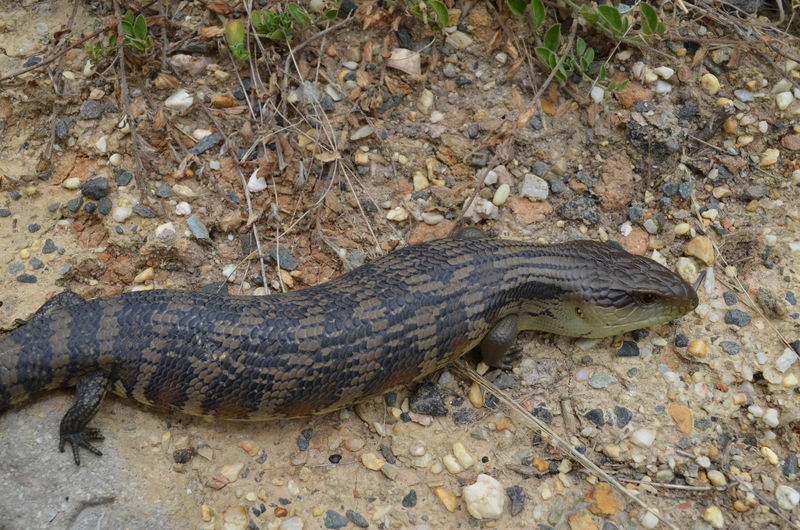 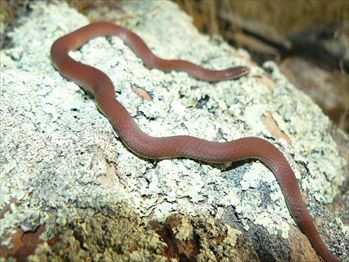 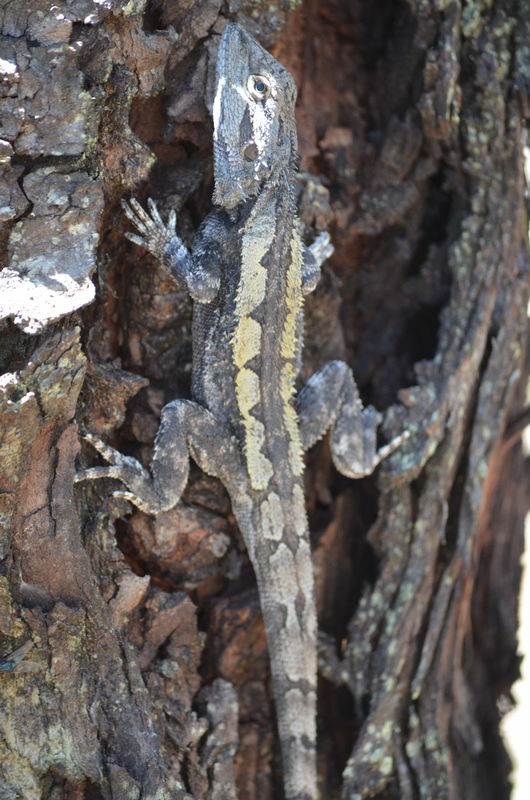 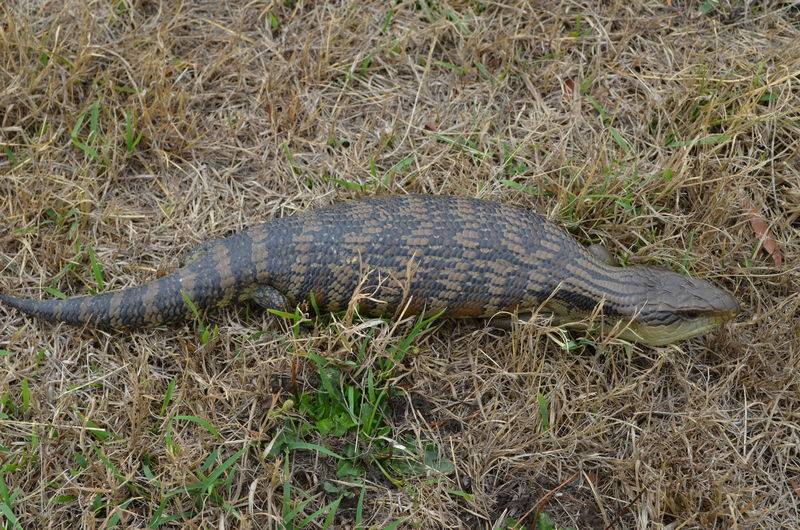 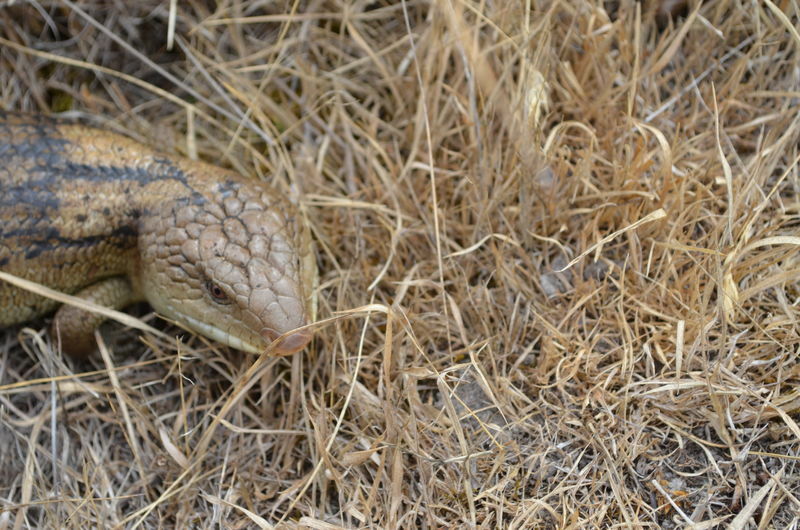 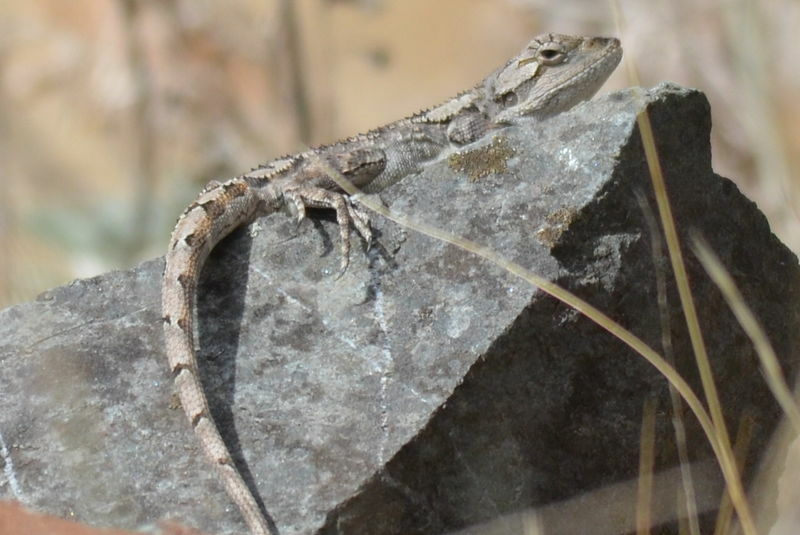 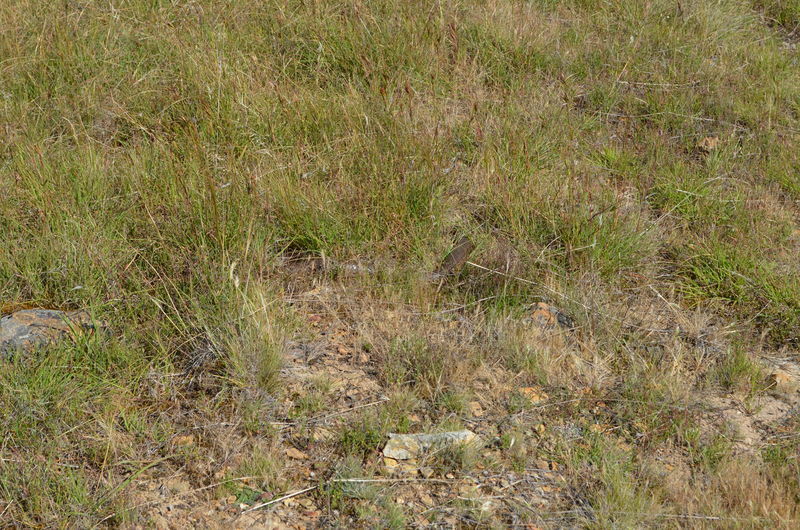 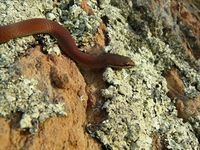 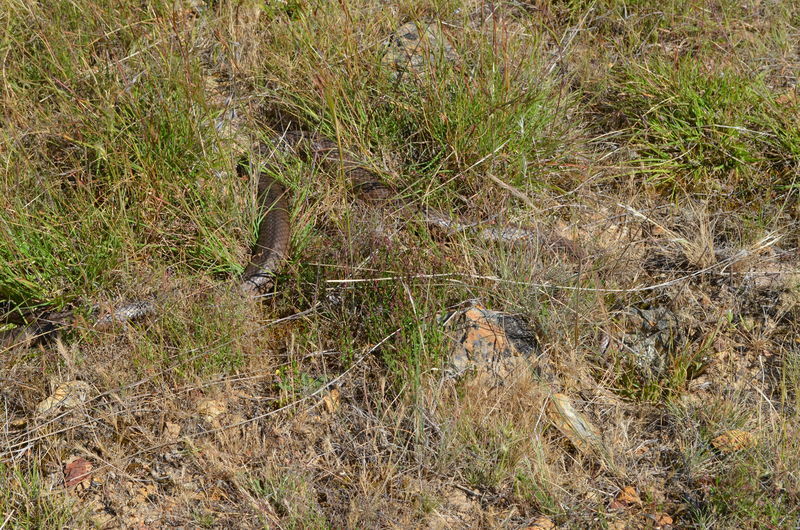 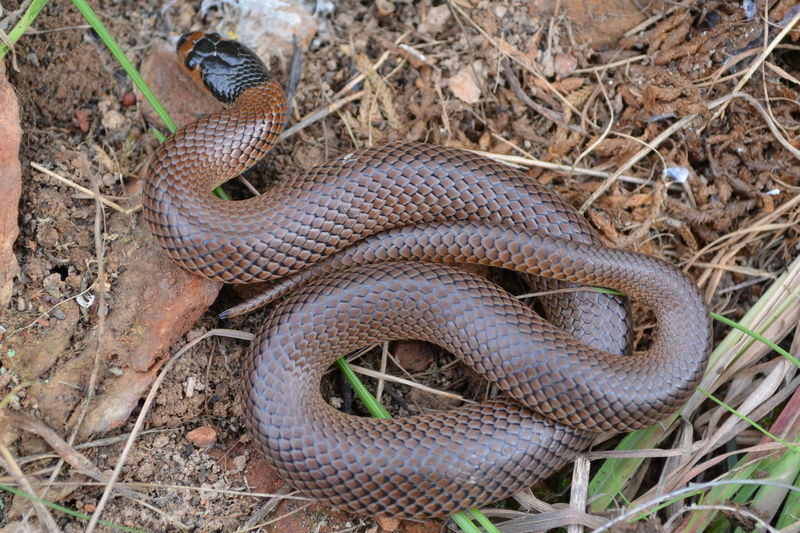 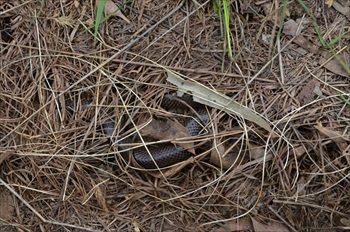 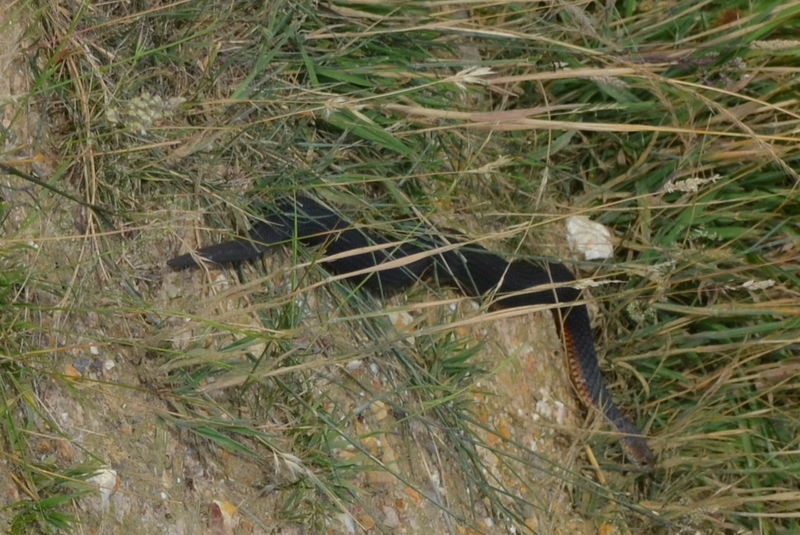 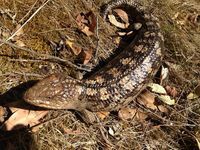 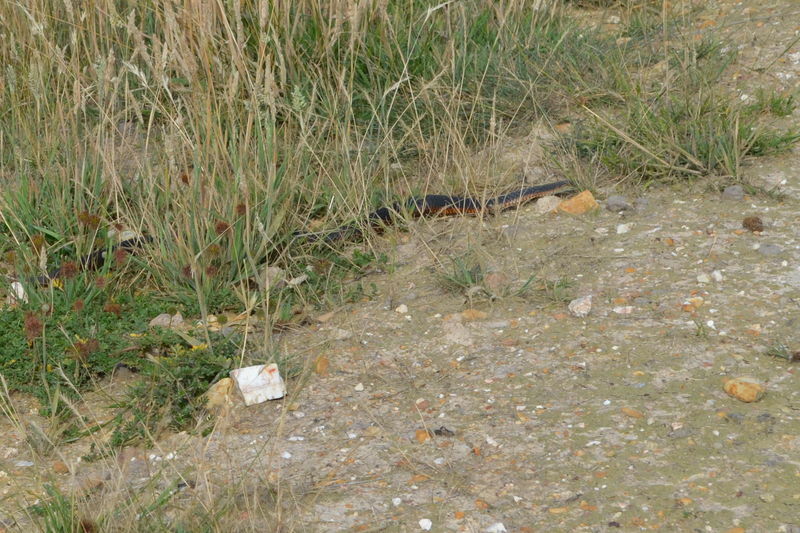 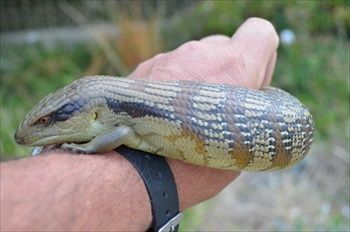 Native Reptiles and Amphibians found on the property are - Copperhead Snakes, Common Brown Snakes, Little Whip Snakes, White Lipped Snakes, Jacky Lizards, Weasel Skinks, 3 Lined Skinks, Blotched Blue Tongues. 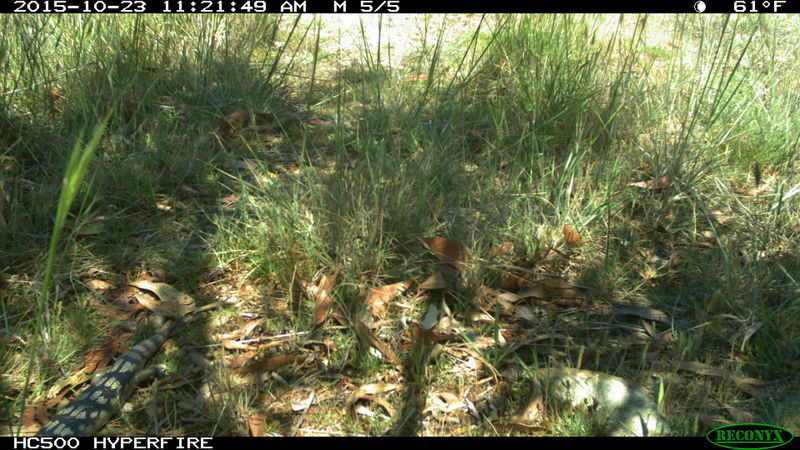 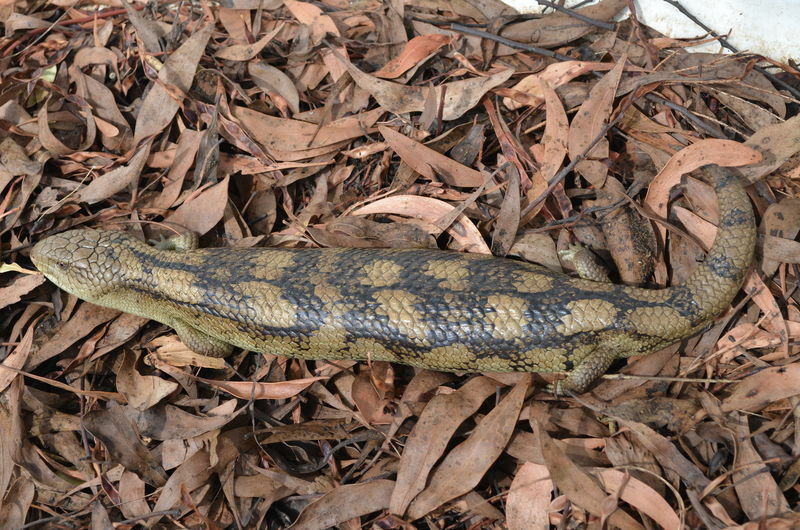 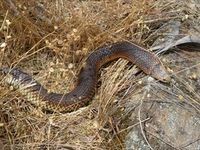 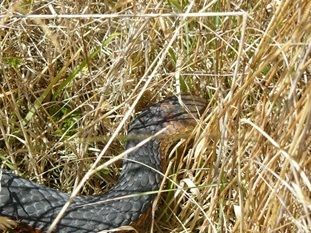 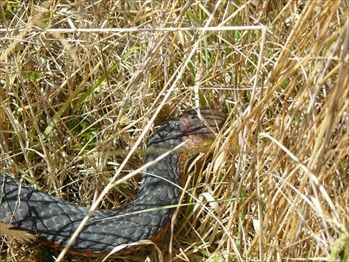 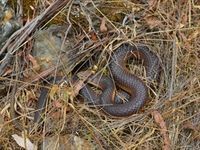 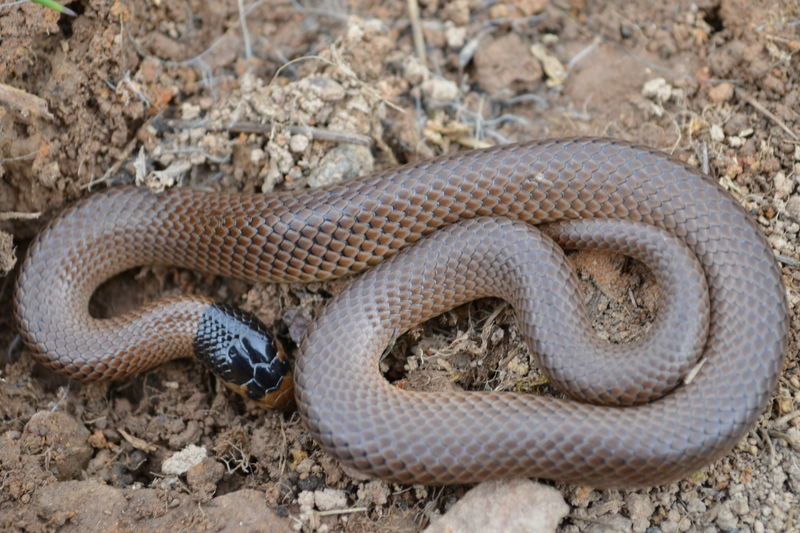 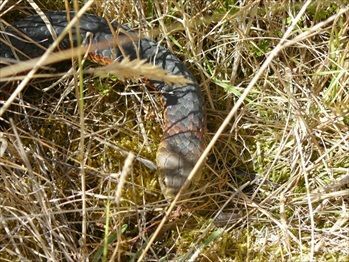 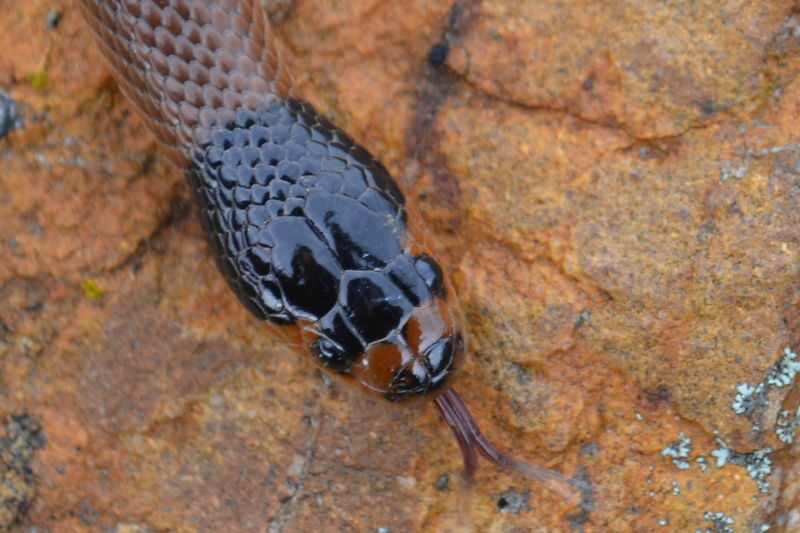 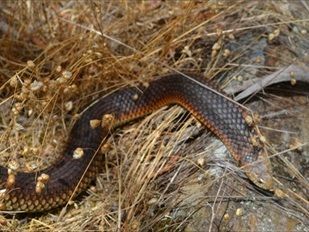 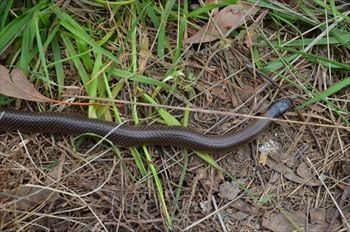 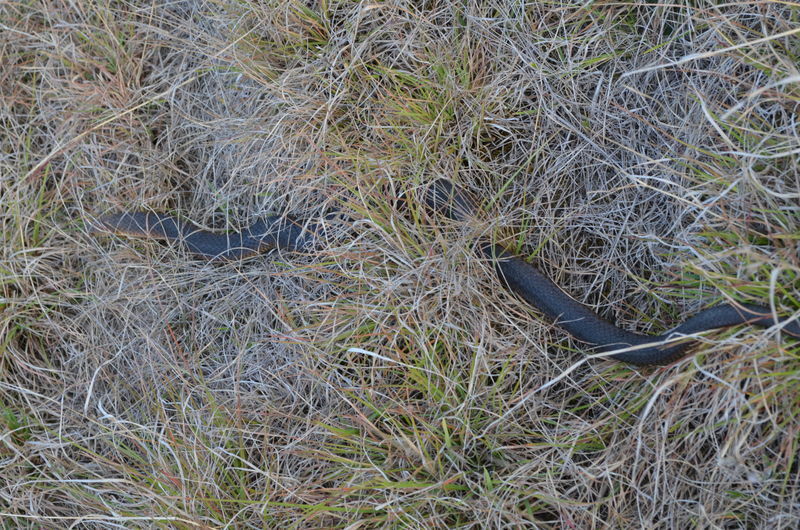 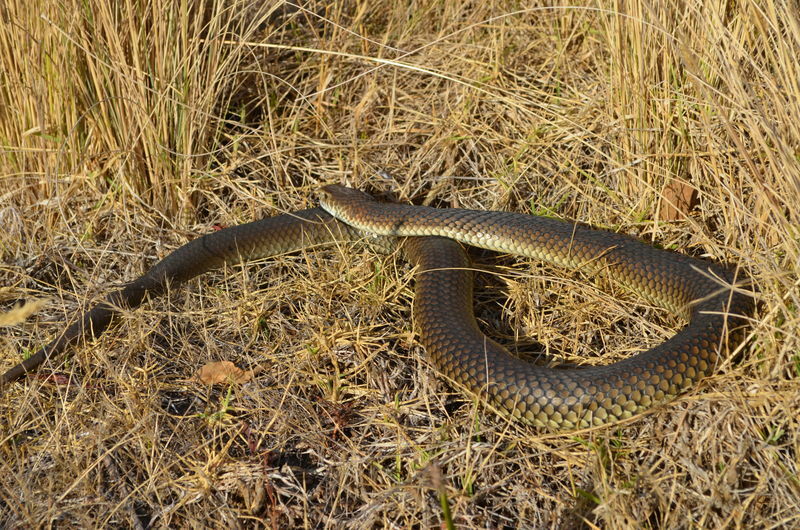 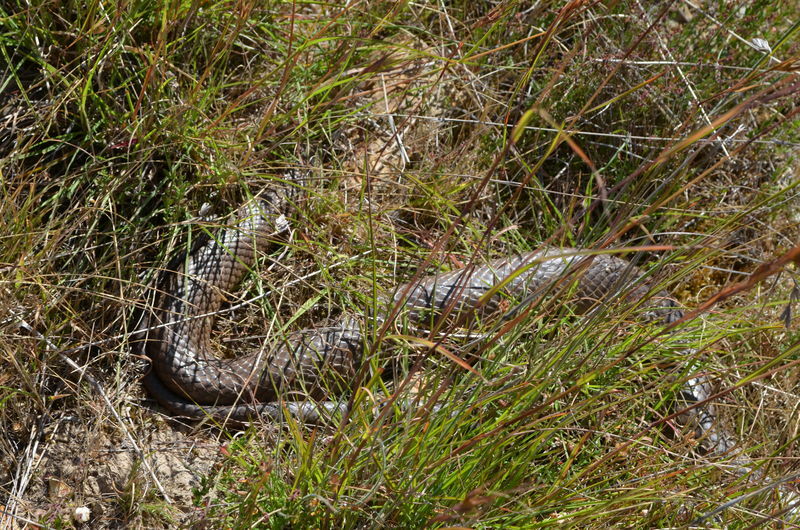 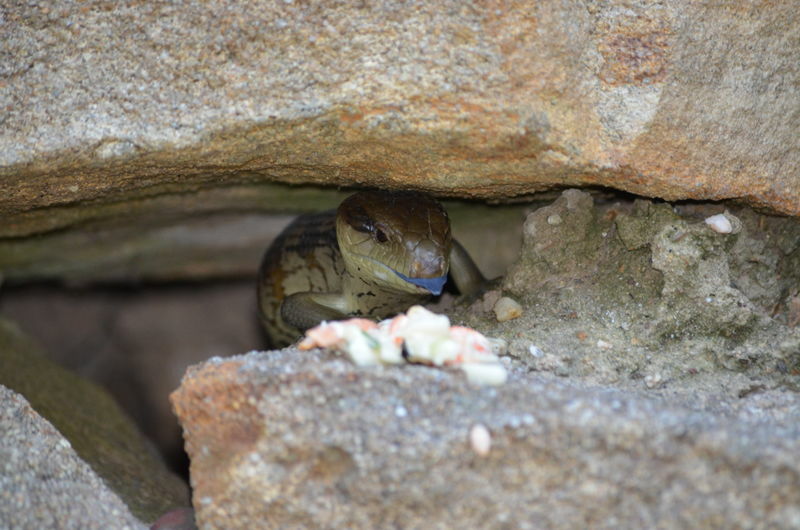 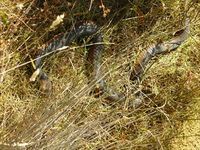 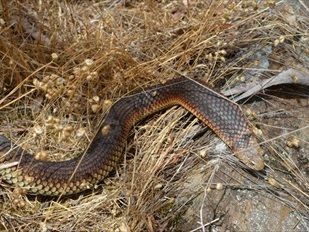 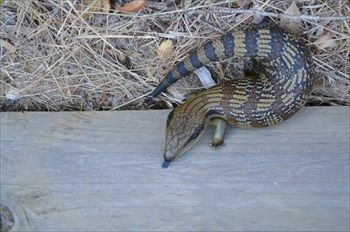 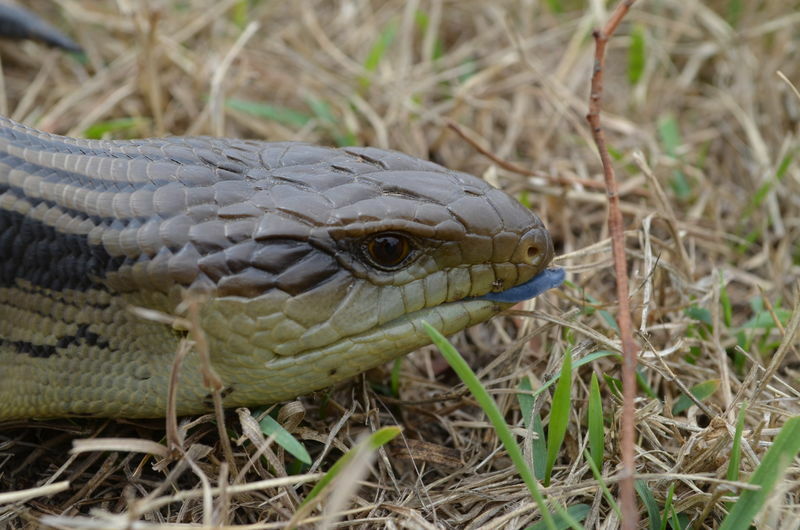 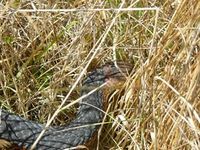 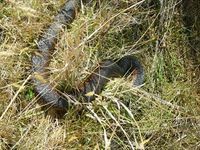 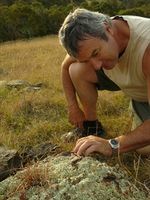 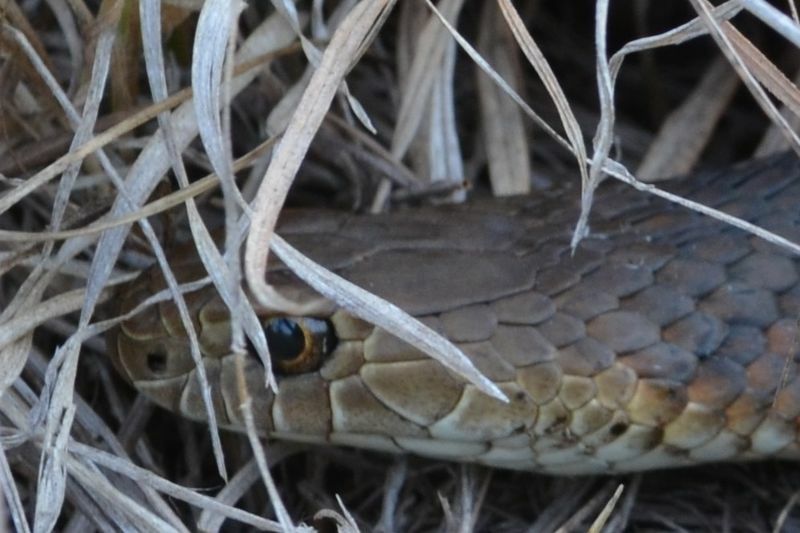 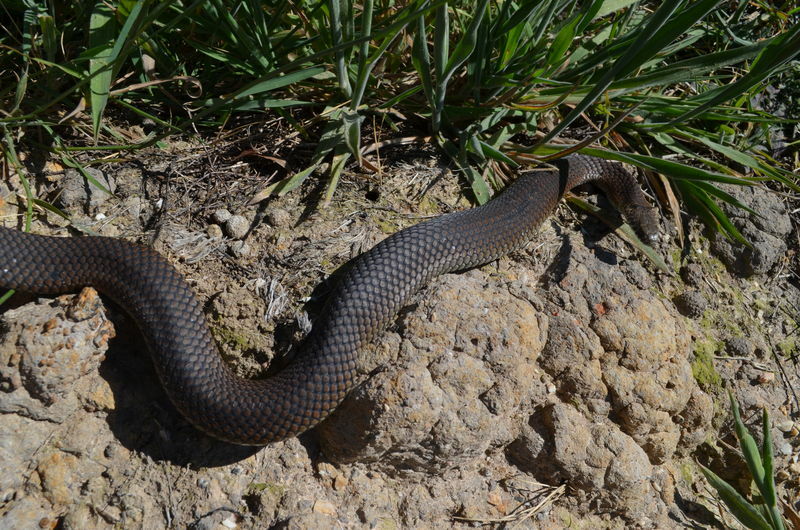 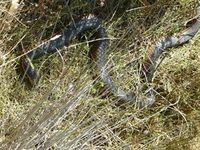 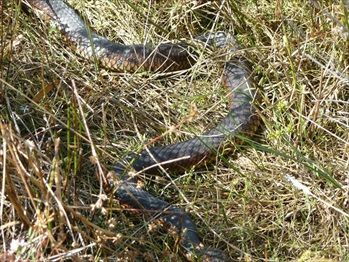 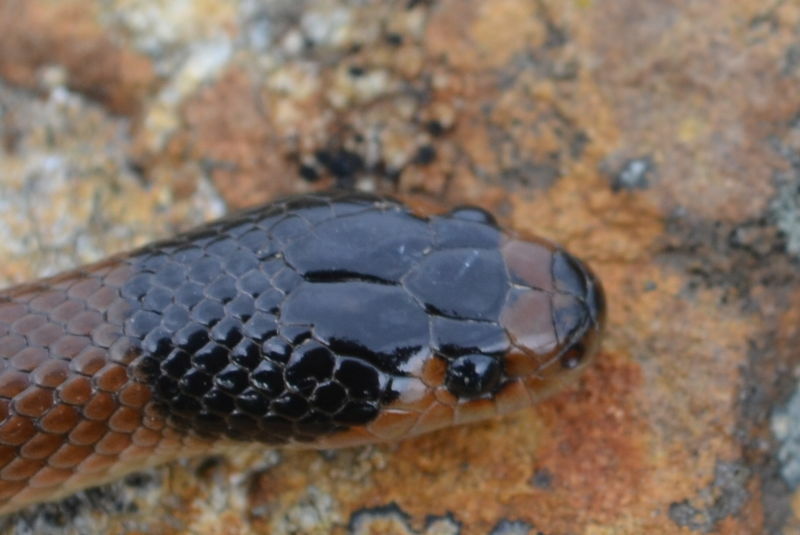 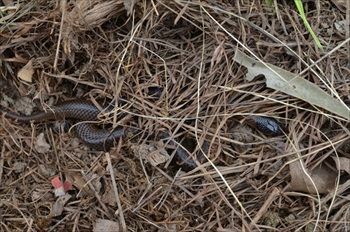 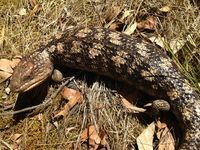 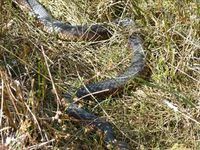 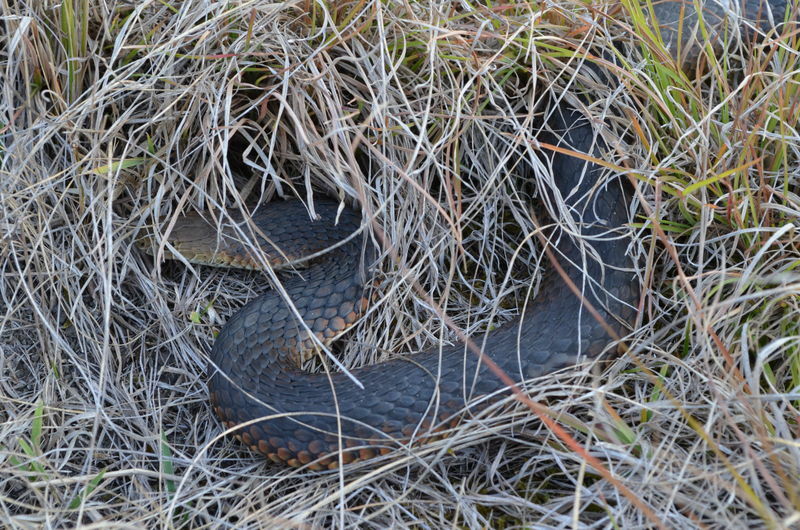 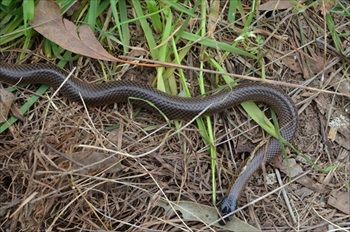 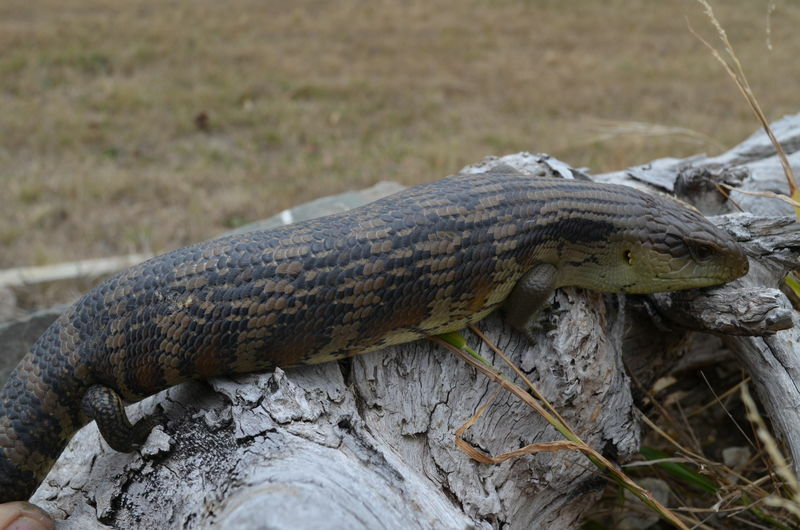 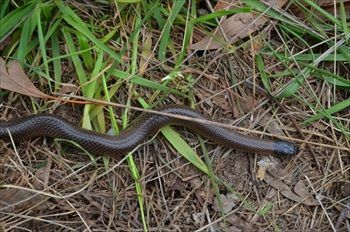 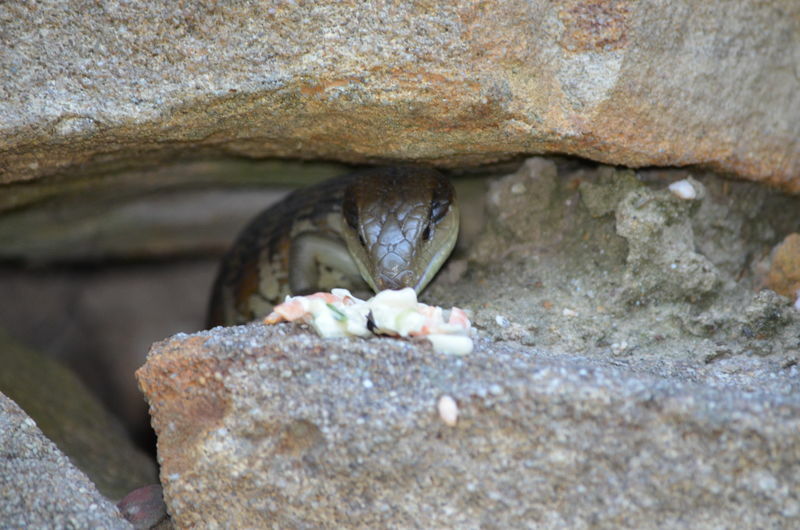 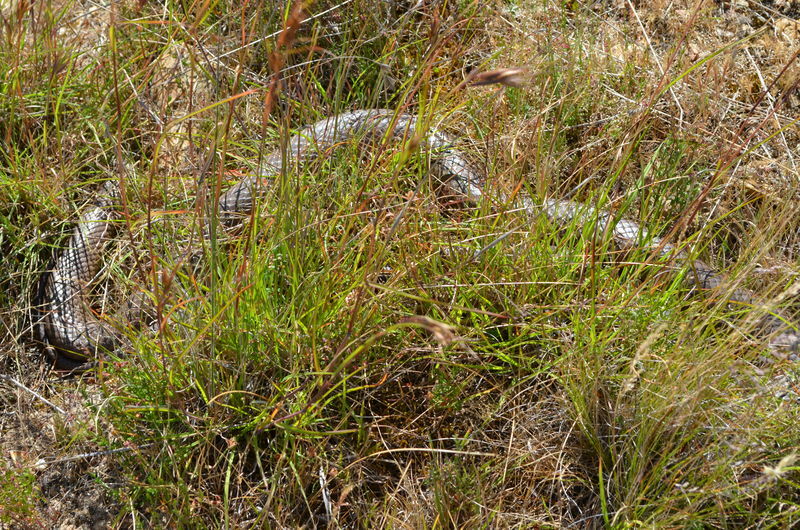 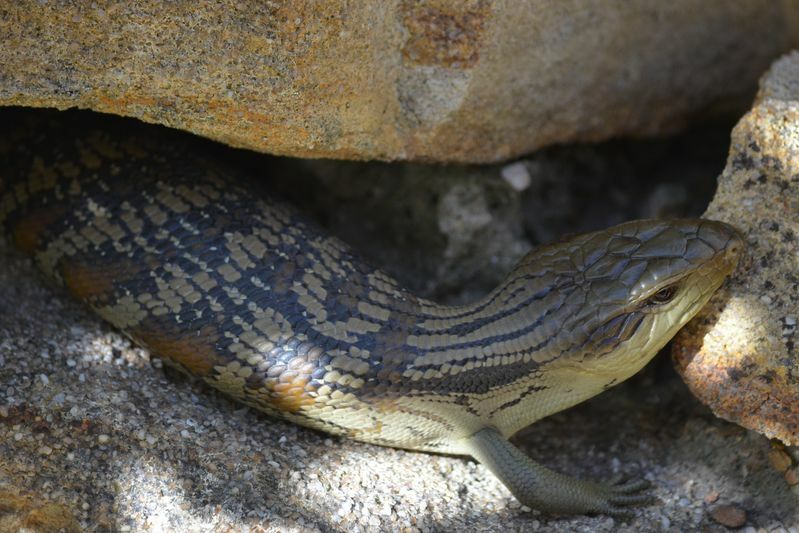 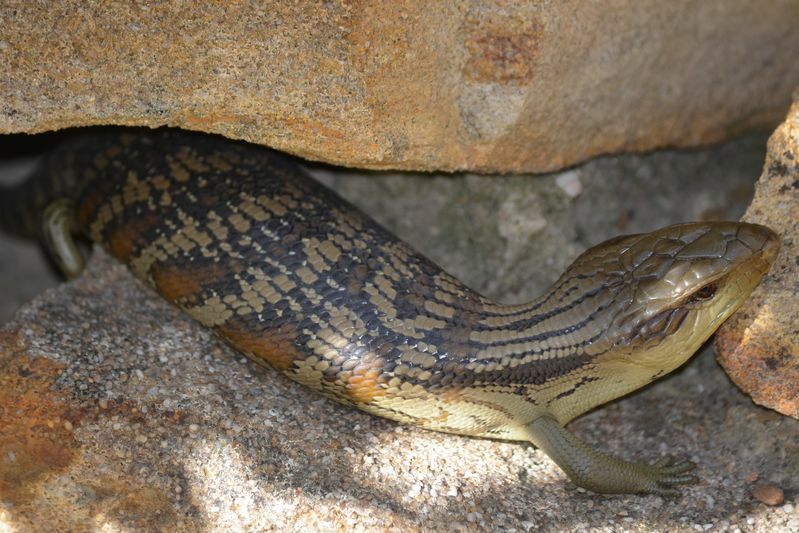 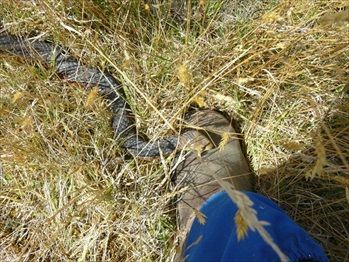 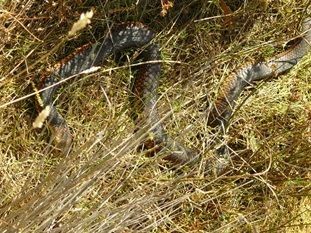 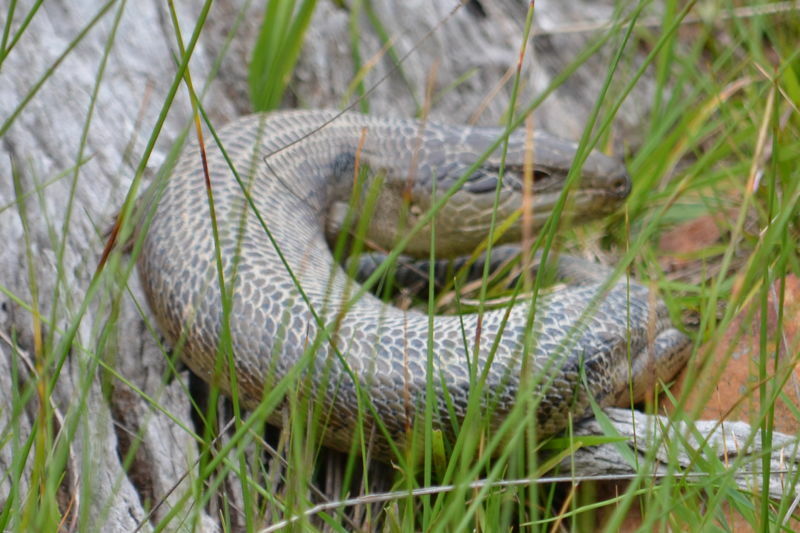 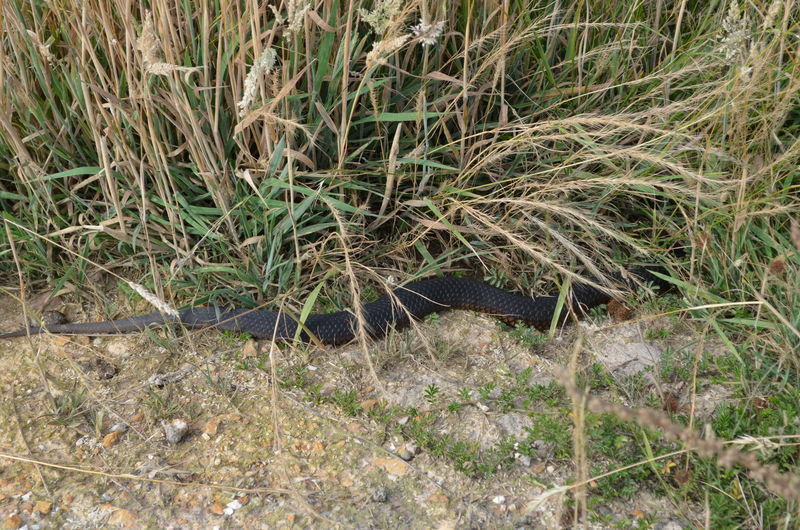 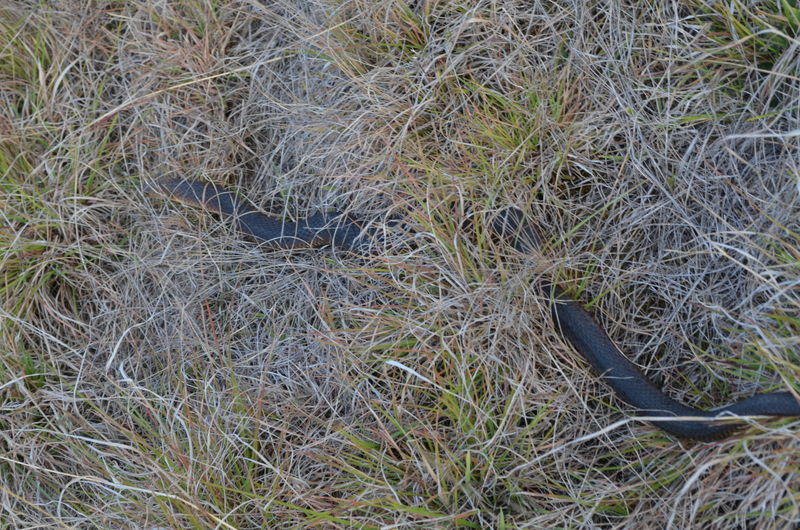 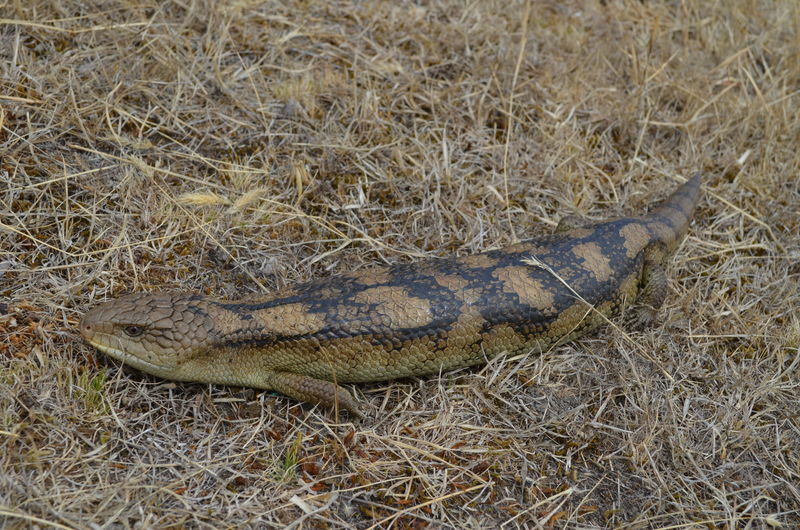 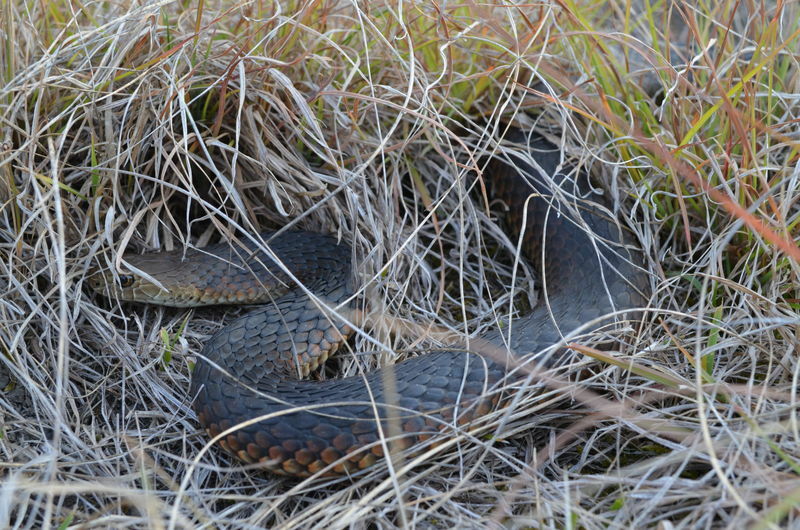 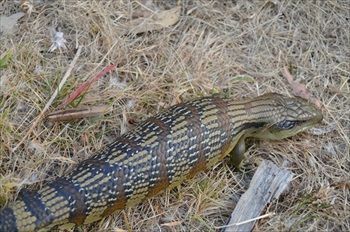 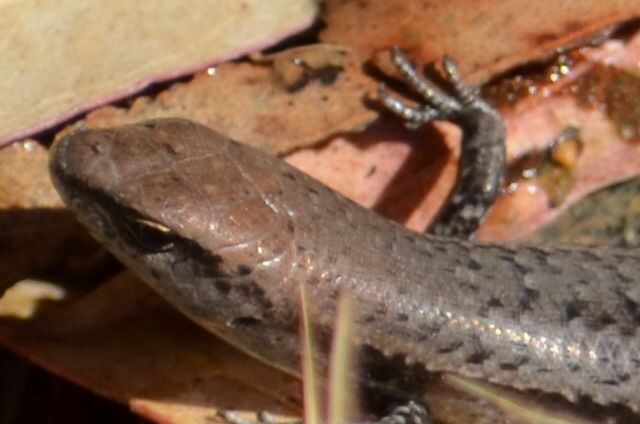 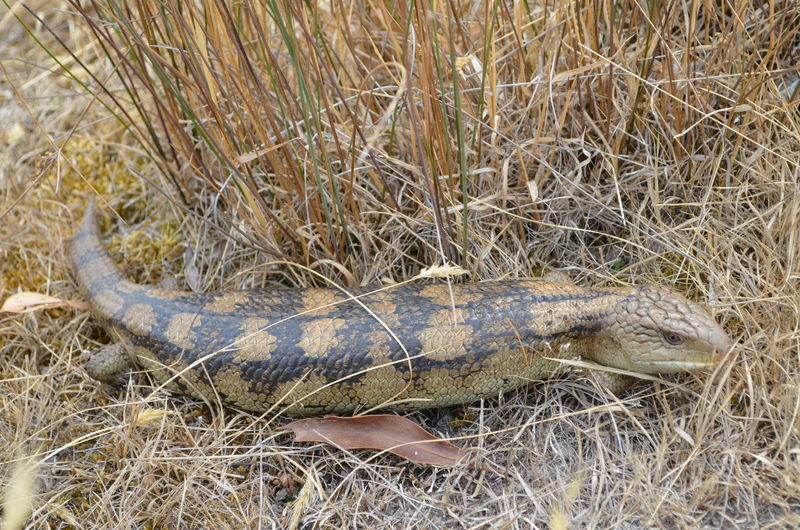 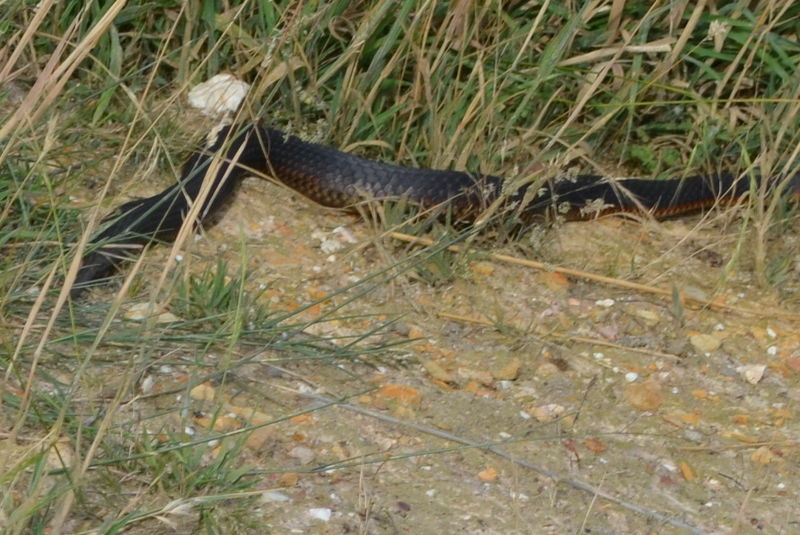 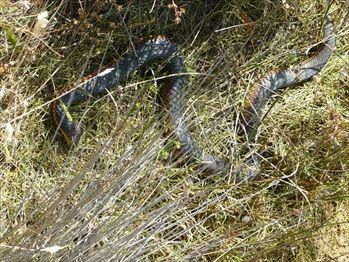 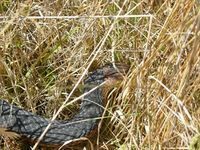 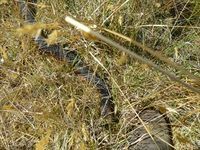 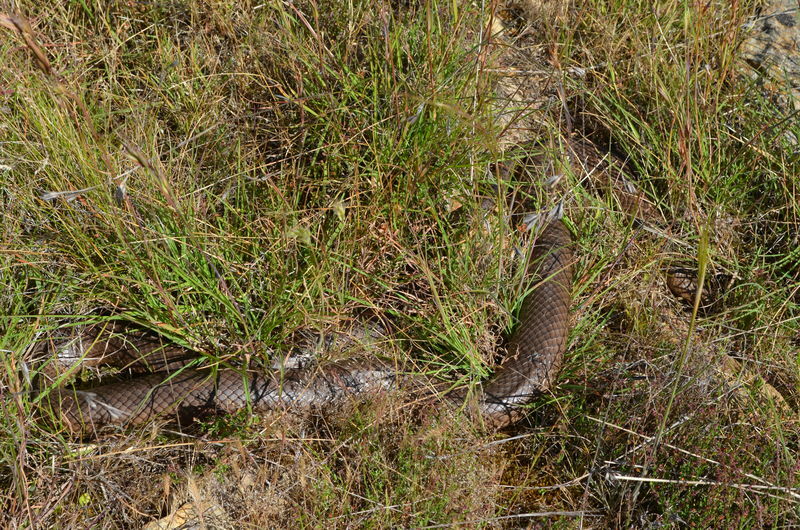 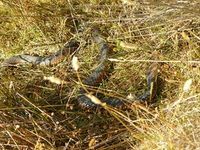 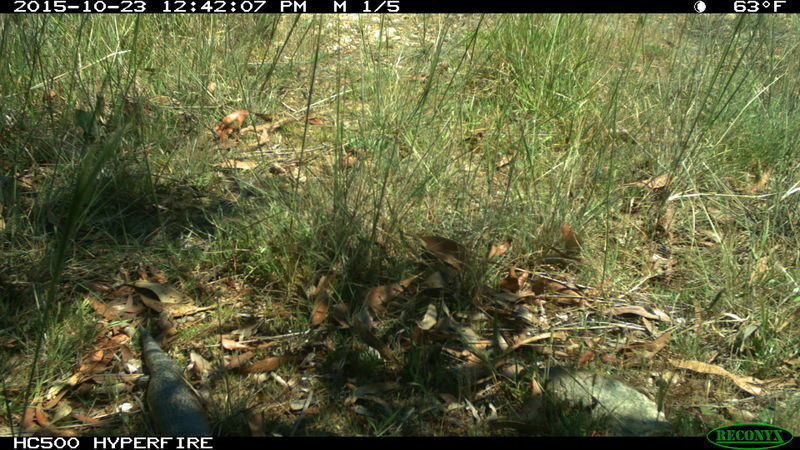 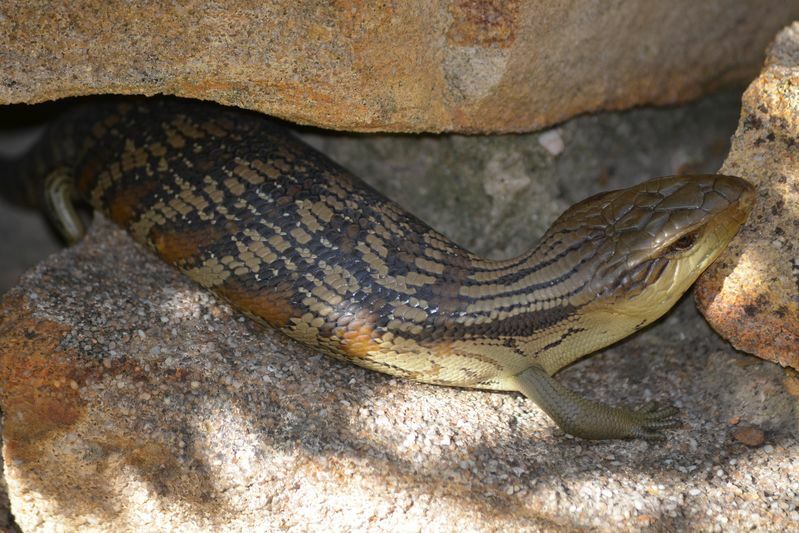 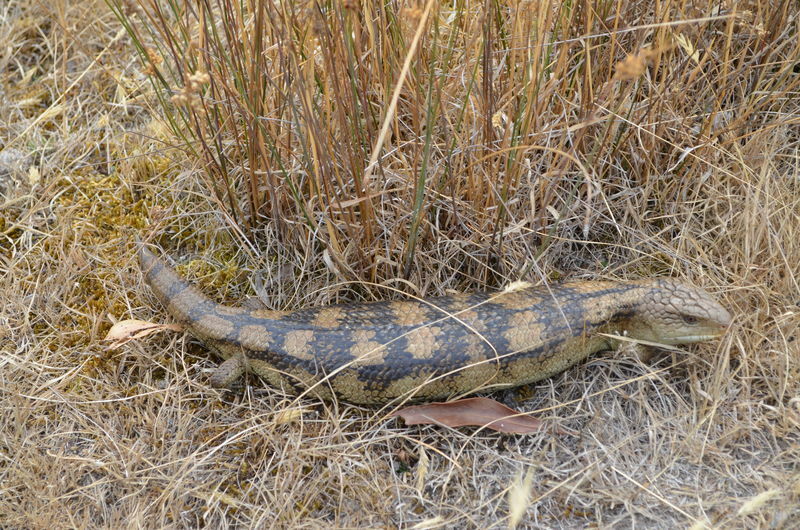 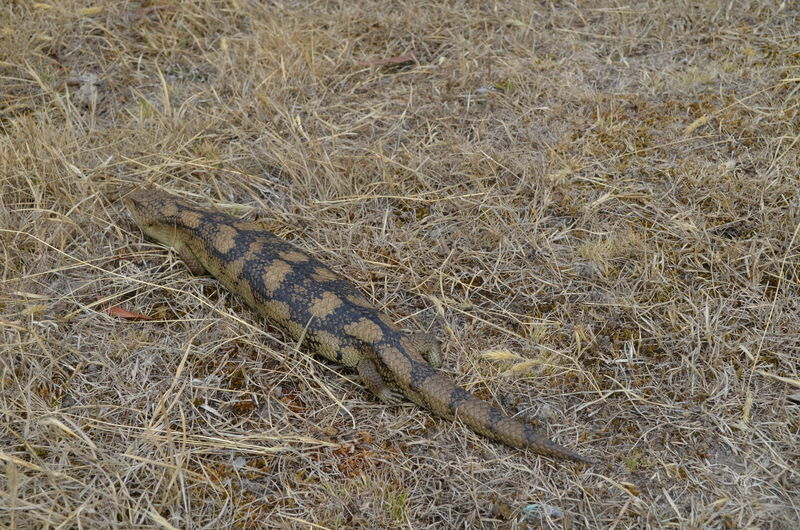 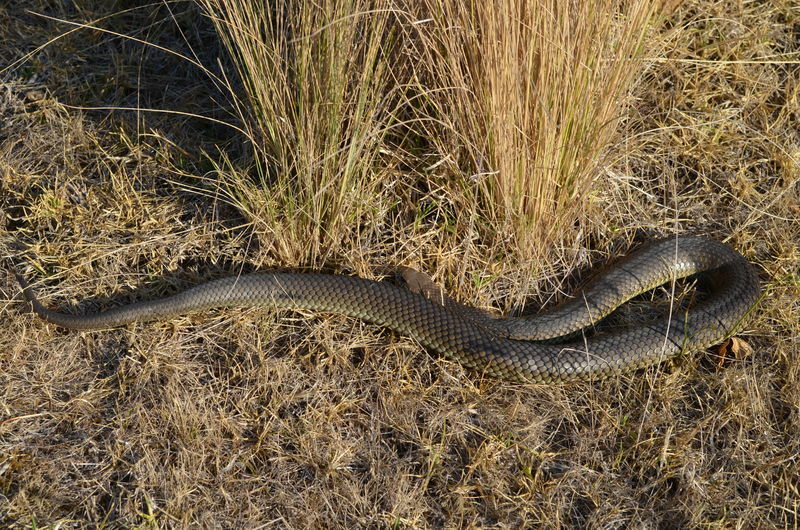 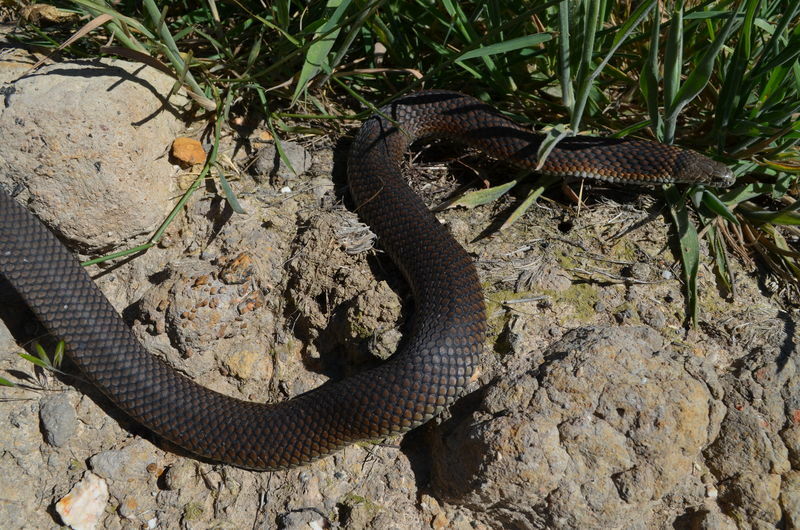 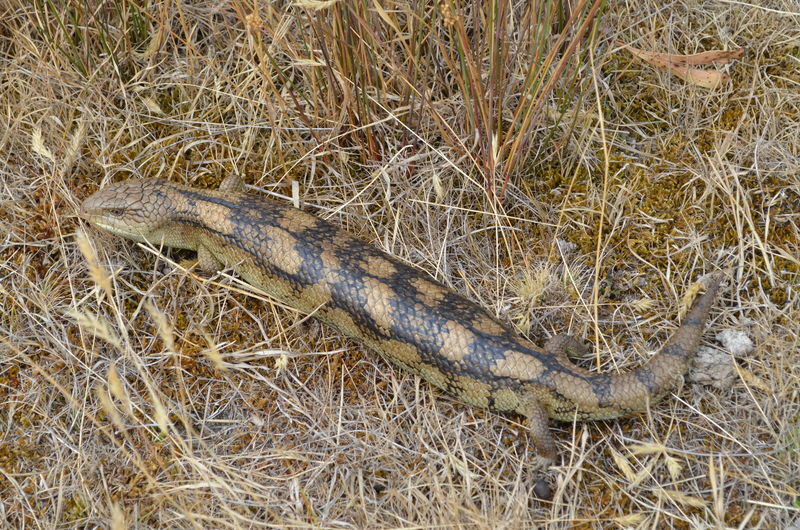 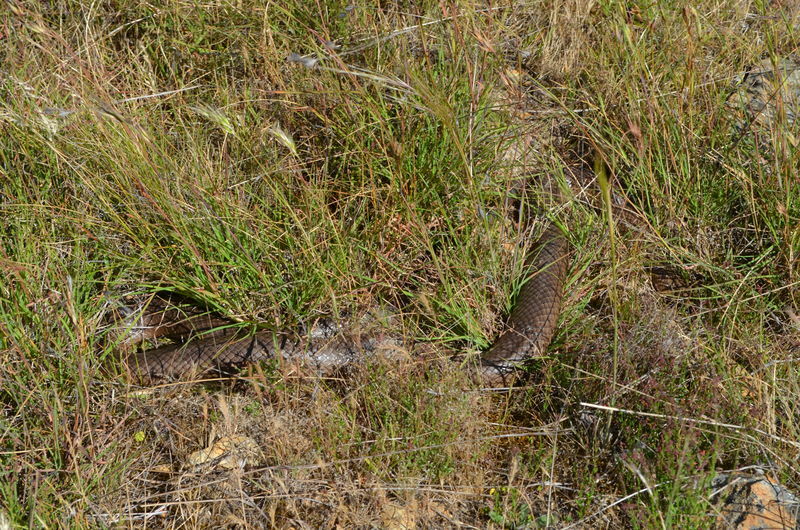 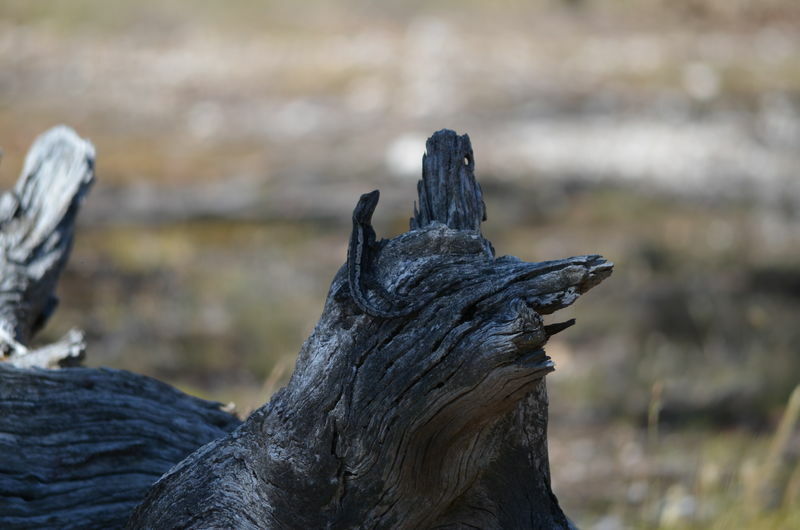 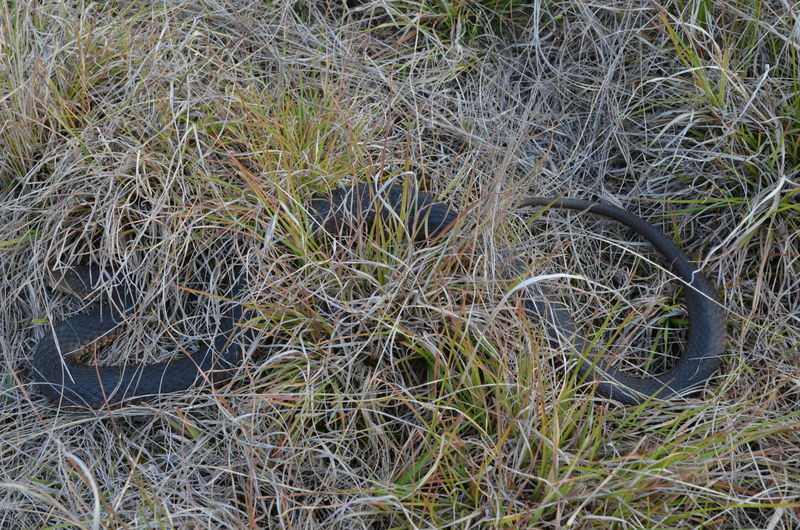 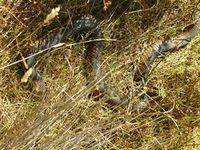 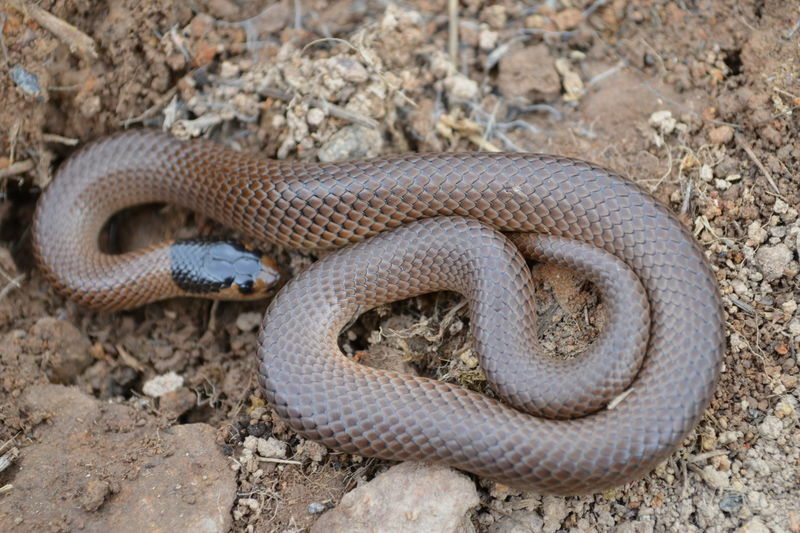 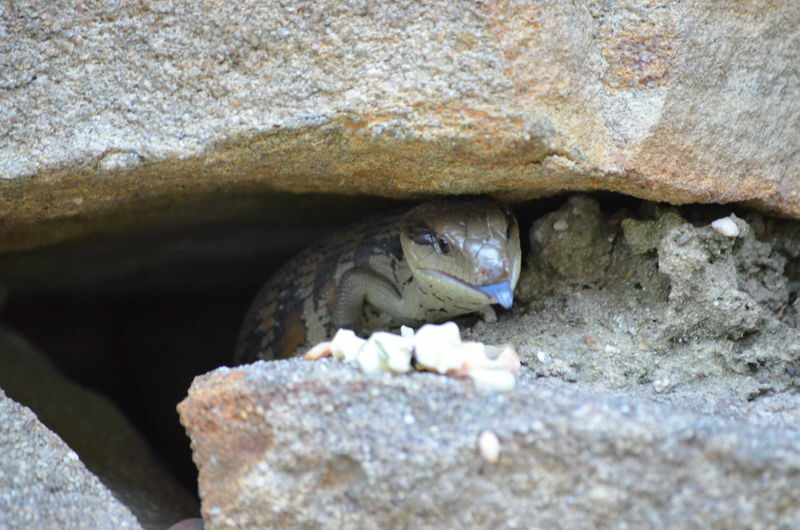 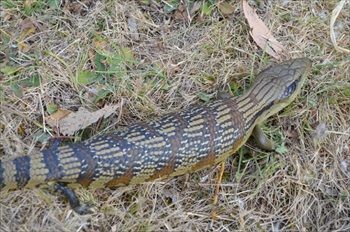 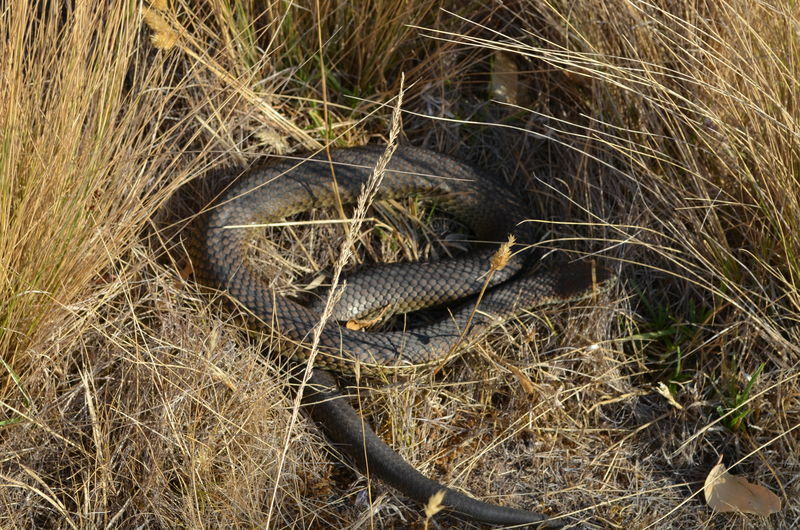 In 2011 Eastern Blue Tongues moved onto the Sanctuary closely followed by the Eastern Brown snakes, Wether its to do with the improvements made to the sanctuary, having more ground cover, more food or its to do with the global warming and so they may be moving to a higher altitude. 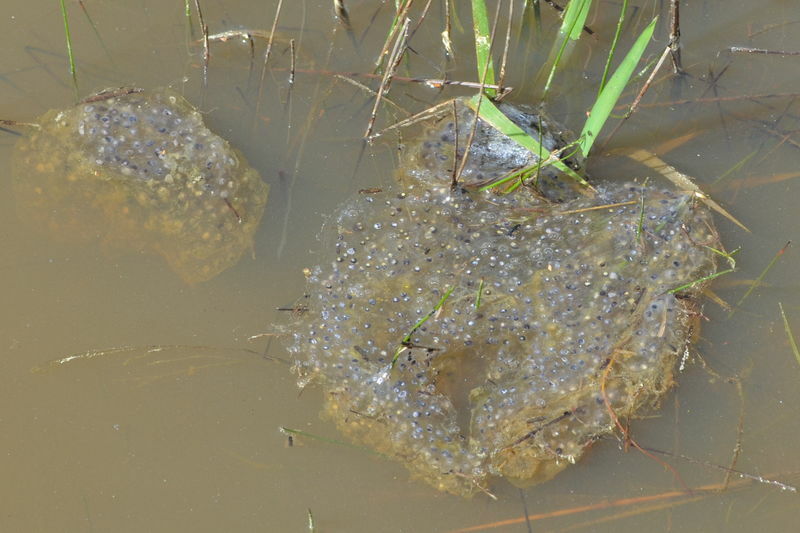 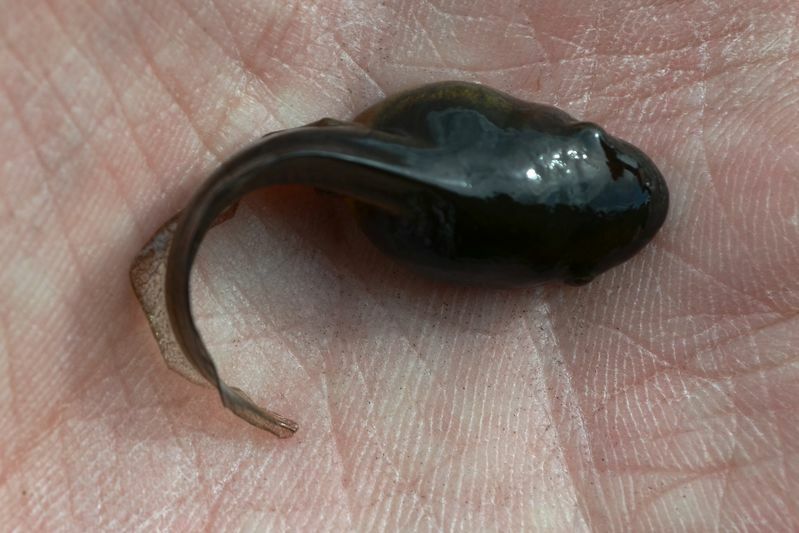 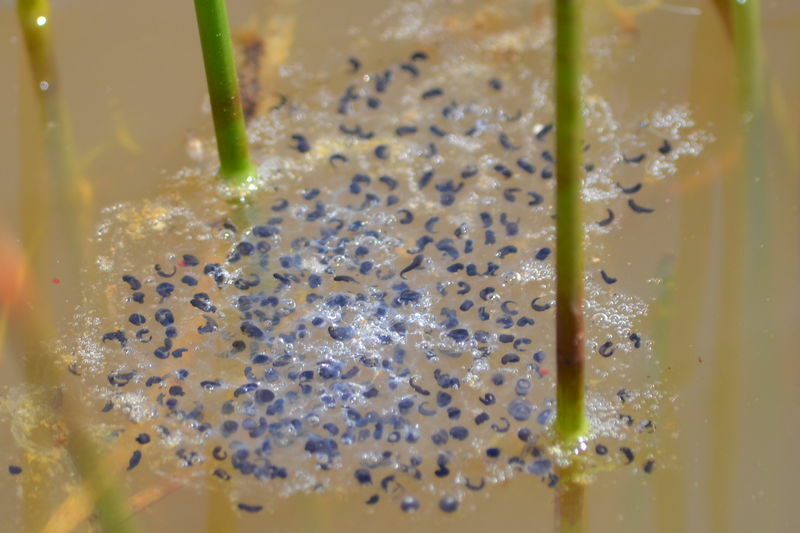 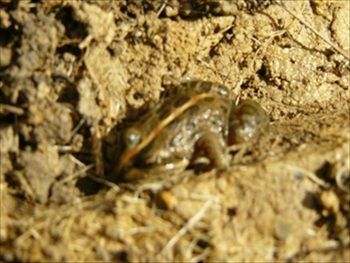 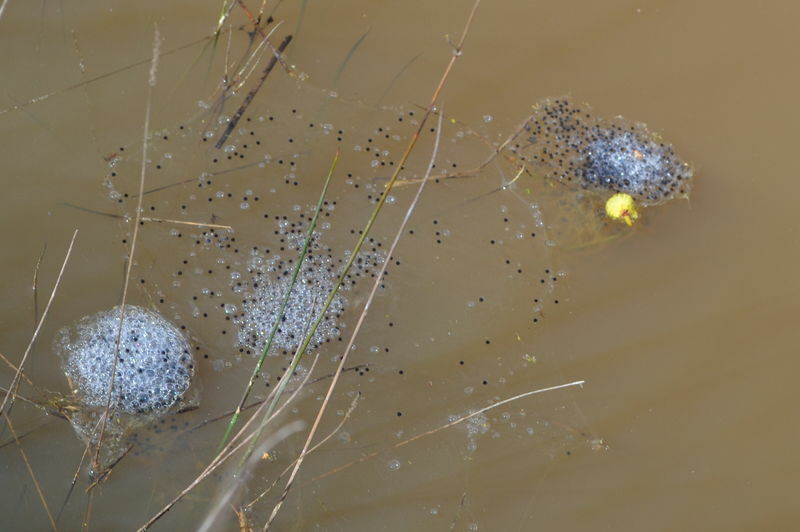 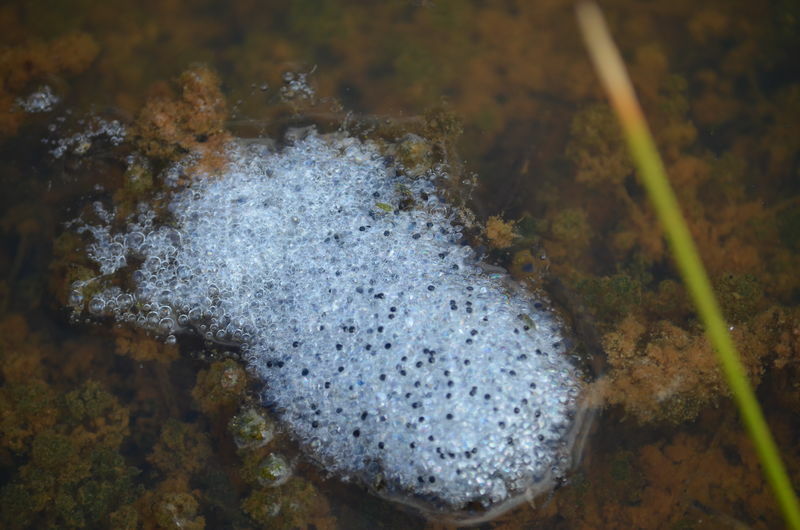 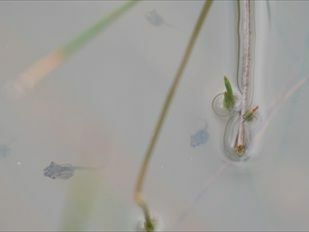 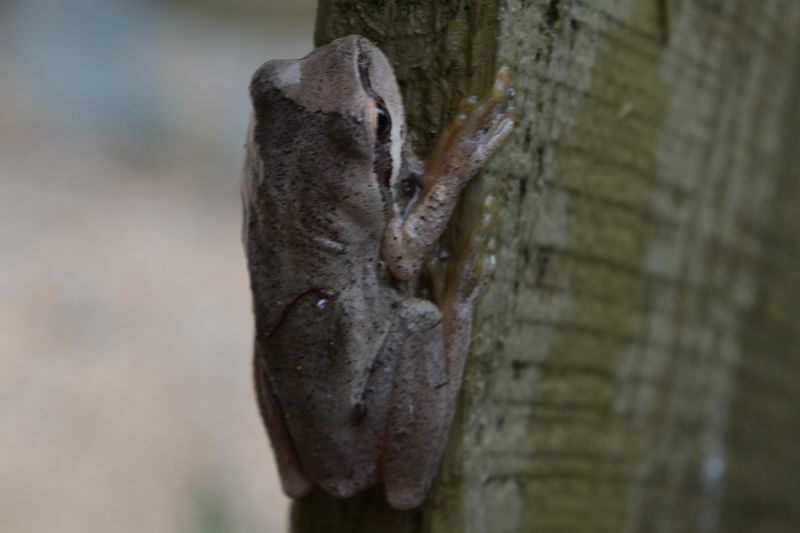 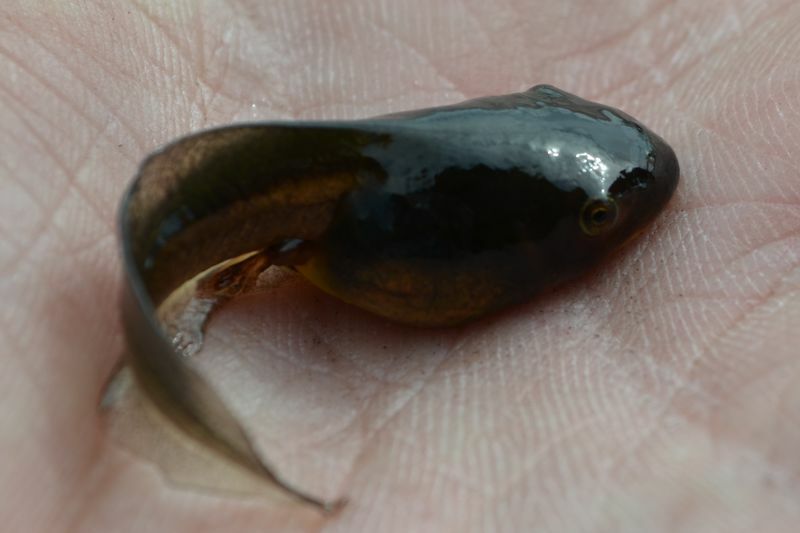 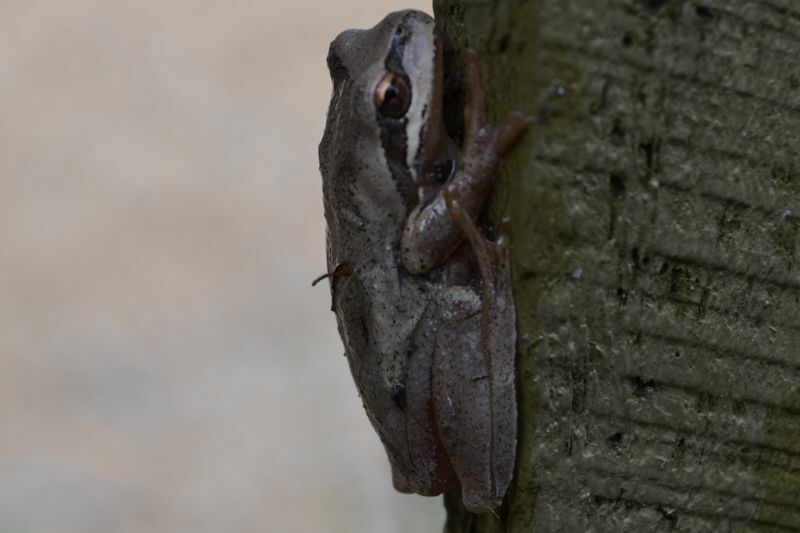 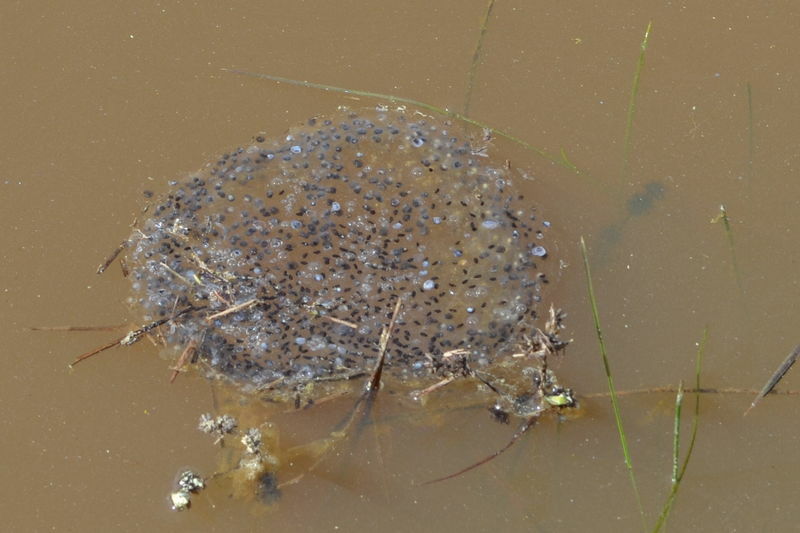 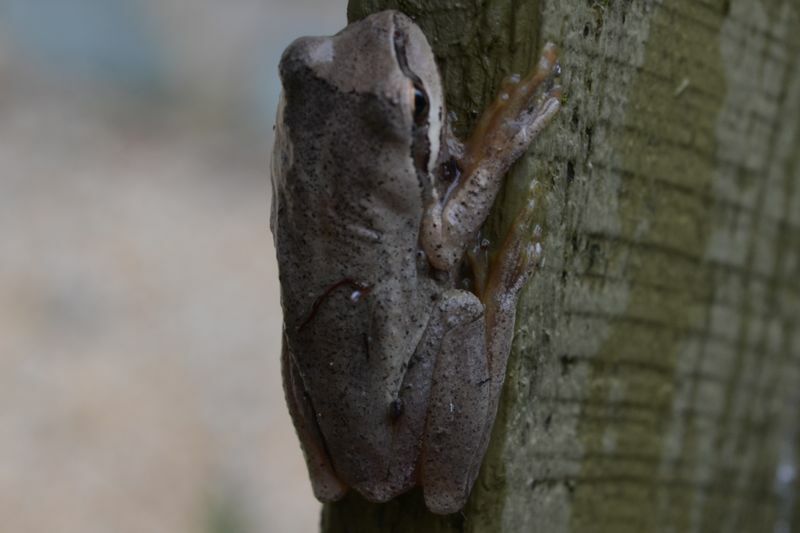 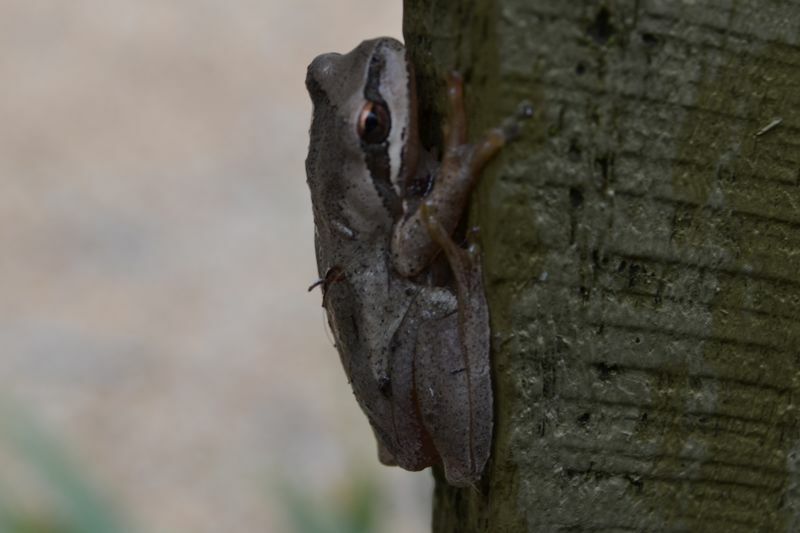 Eastern Banjo frogs, Southern Brown Tree Frogs, Spotted Marsh Frogs, Common Eastern Froglets and Striped Marsh Frog.